Here’s an accessory anyone would love! 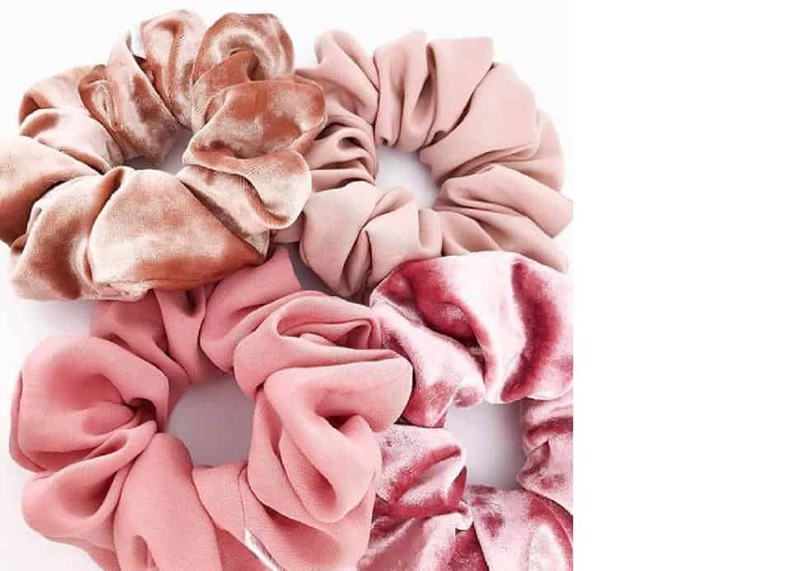 These purely Canadian handmade scrunchies by the company's founder Emily Minion won’t leave hair damaged, and add the perfect amount of chic to any outfit. Their Fall/Winter collection has a beautiful velvet selection in different colours and prints, and the Spa collection is perfect for the girl who likes to head to the gym after work. If she’s a wine enthusiast, she'll love the gift that keeps on giving. 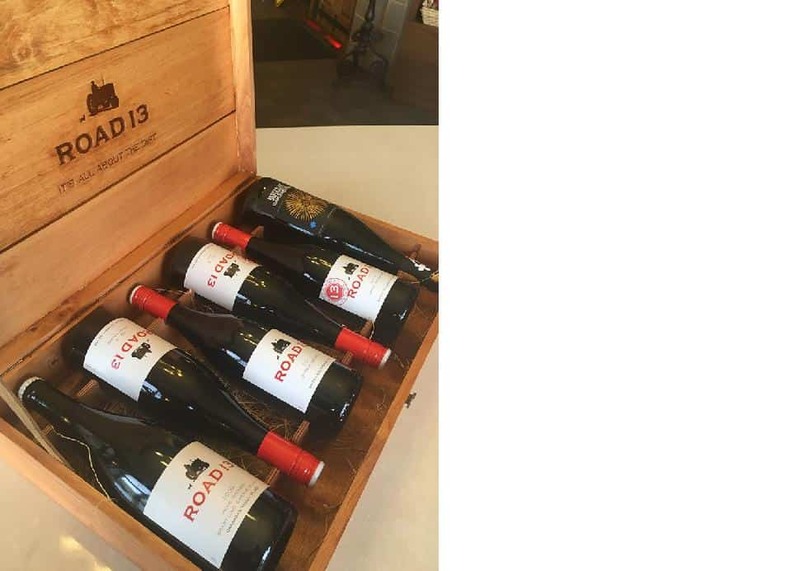 Voted the top winery in Canada by the 2018 National Wine Awards, B.C.’s own Road 13 has a special wine club that will send three shipments of six bottles to your doorstep every year, along with extra perks such as a 10 percent discount on wine purchases, along with event invites, complimentary tours and more. 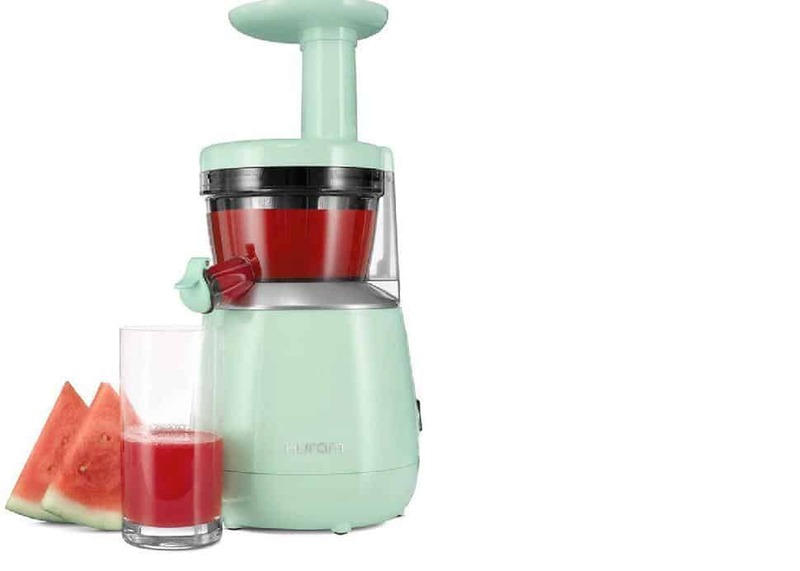 Available in three fabulous colours, this compact slow juicer by Hurom is perfect for making fresh juice, sorbets, smoothies and even almond milk... all while keeping natural taste and nutrients intact. It’s also a great size for any countertop, cleans easily, and is close to silent! Local jewelry brand Olive + Piper’s Holiday Collection is a mix of elegant statement pieces that make for perfect stockings stuffers. 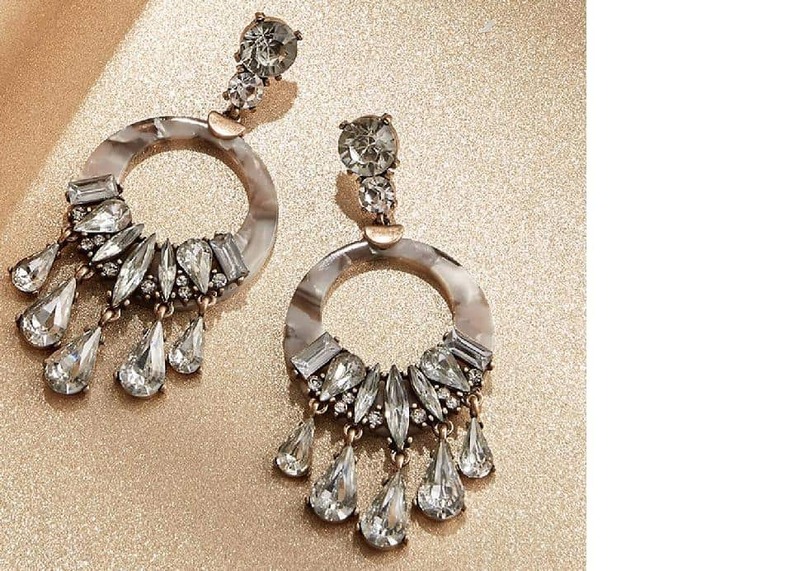 We are in love with these gorgeous drop earrings. A hint of turquoise add just the right touch of glam to any look. StarbucksHere’s a practical—and fun!—gift for the girl who’s always on the go. 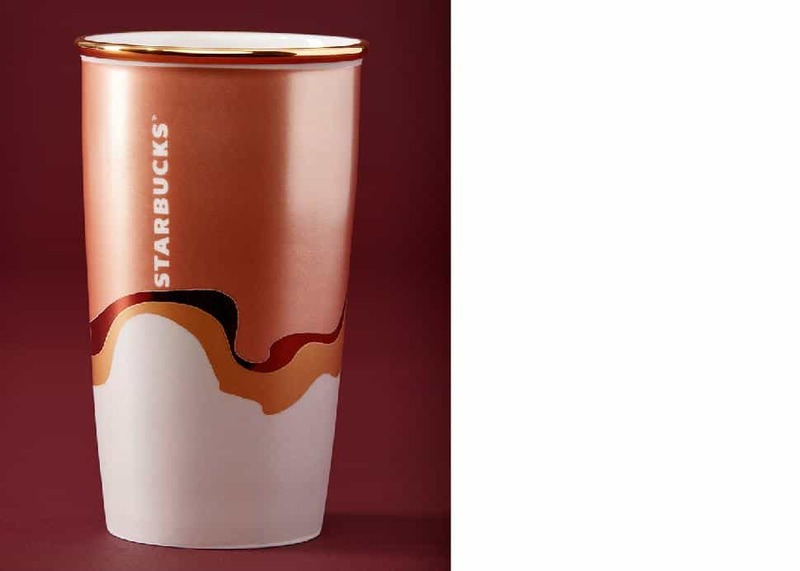 This year’s holiday collection by Starbucks features stylish products meant to spread Christmas cheer, whether it’s glittery tumblers (above) or sleek and shiny ones. Head to your closest location to see more! 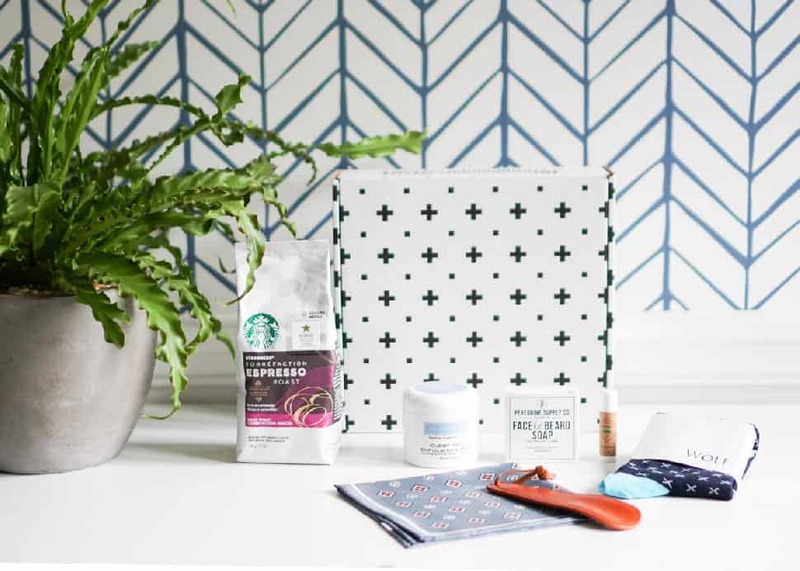 EtsyTV personality and interior designer Jillian Harris has collaborated with Etsy on a limited edition selection of home decor and lifestyle products... and we can’t get enough! This beautiful charcuterie board by Crawford Creek Designs is perfect for someone who loves entertaining—and having a unique statement piece in their kitchen. 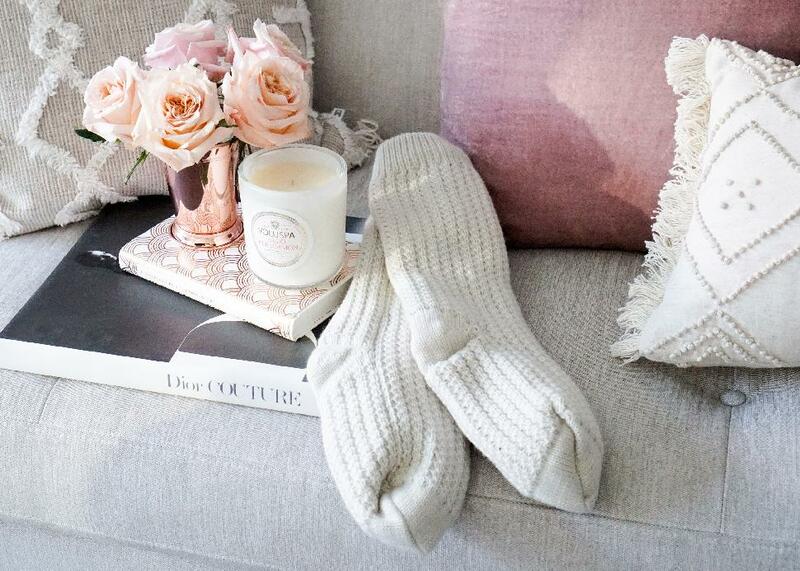 Blush PeonyThese super cozy twist knit, fleece-lined socks from locally-based Blush Peony are perfect for lazy days on the couch. This season, they've added new colours, with the choice of three shades: powder blue, oyster grey or ballet slipper pink. Fashionable and functional, Olivia Burton’s watches can be worn throughout the day, no matter the occasion. 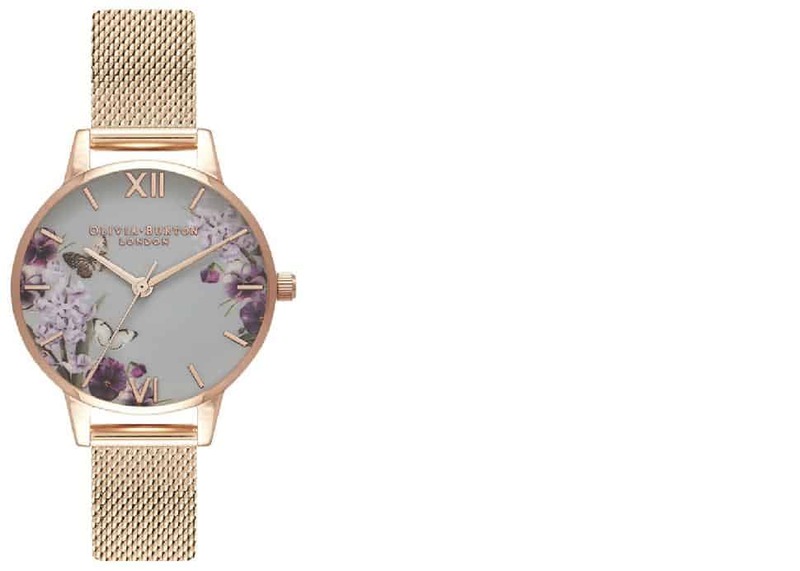 We especially love this dreamy design, inspired by enchanted gardens with simple rose gold plated casing and mesh strap. 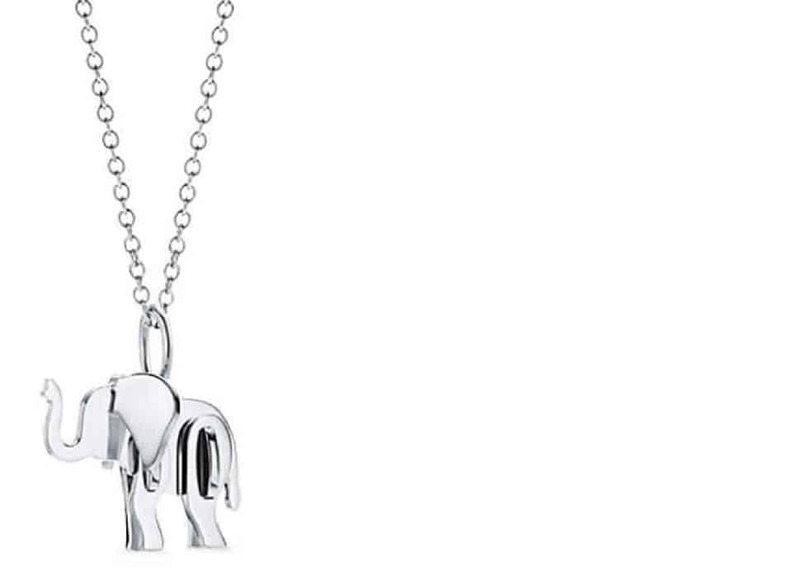 This beautiful sterling silver chain is part of Tiffany & Co.’s latest Save the Wild Collection, and its ongoing commitment to protect animals across the planet. All proceeds will benefit the Wildlife Conservation Network, which aids the Elephant Crisis Fund, so you know your gift will be going a long way. 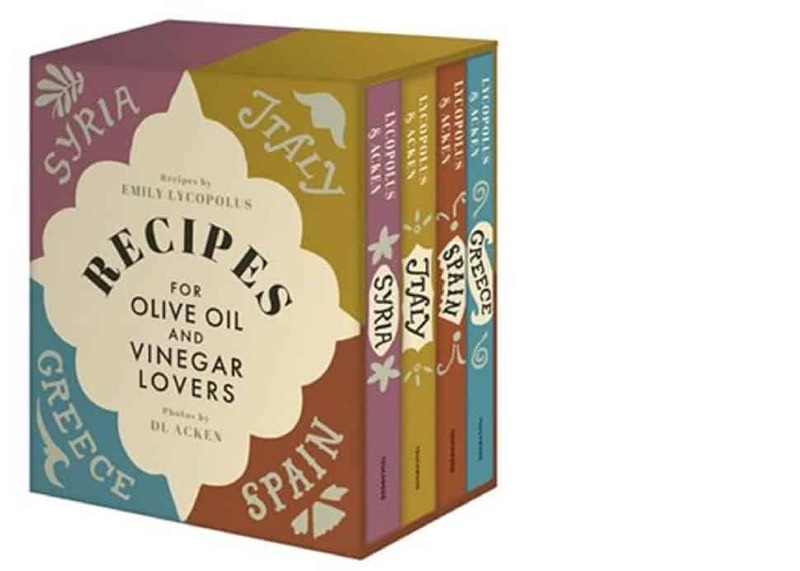 New and experienced cooking enthusiasts will love this boxed set featuring four award-winning books by olive oil and vinegar sommelier Emily Lycopolus. 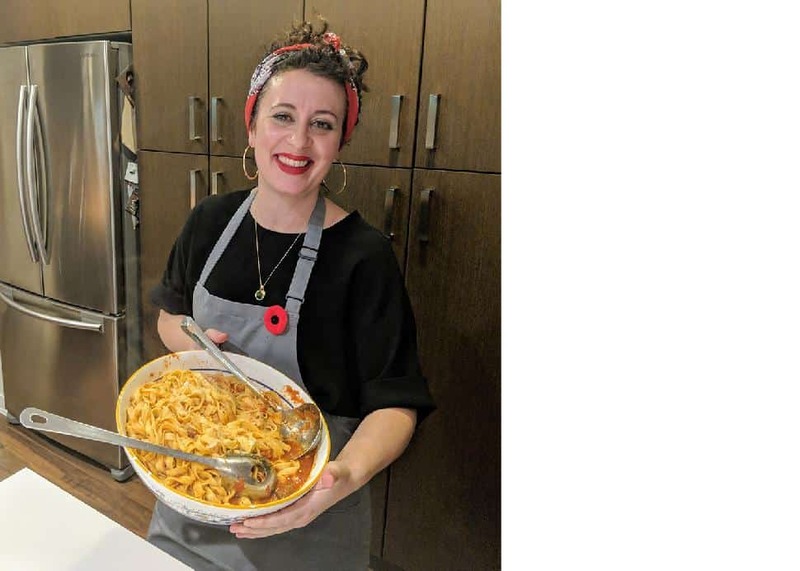 It include delicious Mediterranean and Middle Eastern recipes to enjoy, gourmet oil and vinegar pairings by Emily herself and colourful photographs. Navigate the rich cultures of Italy, Spain, Greece, and Syria with this one gift that is sure to be a conversation starter in every kitchen. 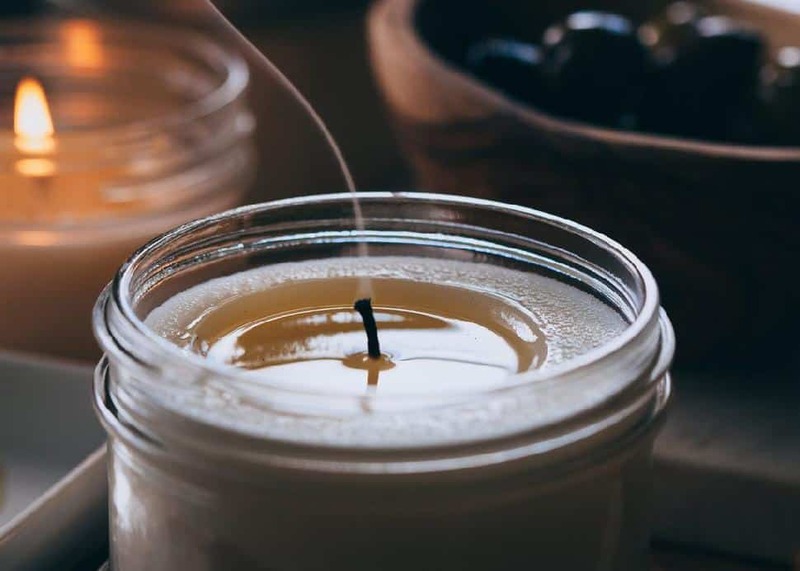 Canvas Candle Co.Made in Port Moody, B.C., the candles of Canvas Candle Co. are hand-poured and made of 100 percent soy wax. Their Best Coast offering celebrates the best scents of the West Coast, folding in evergreen and cedarwood notes. The perfect holiday scent! Smash and TessGive the gift of coziness with this deep maroon romper by Smash and Tess. It’s great to throw on while you’re relaxing at home, away from the cold, or it can even be paired with ankle boots and a leather jacket for a fun, yet comfy, day out. Simply Beautiful BoxThe Simply Beautiful subscription box has become the number one subscription box in Canada and for good reason. Four times per year, a curated collection of beauty products, trendy decor pieces and gorgeous accessories arrives at your doorstep... for a fraction of the retail value. It's style with sense! Beauty Bar CosmeticsLocal company Beauty Bar Cosmetics has a variety of special holiday products to choose from, and this Santal Rouge from the Dayna Decker diffuser collection tops our list. We love the sultry fragrance with notes of Provence rose, Himalayan musk rose, Chinese peony, sandalwood and orchid. Not to mention the super elegant packaging. Sea LuxeAffordable—and extremely useful—this new body scrub by Canadian company Sea Luxe works to leave skin smooth, refreshed and healthy looking. 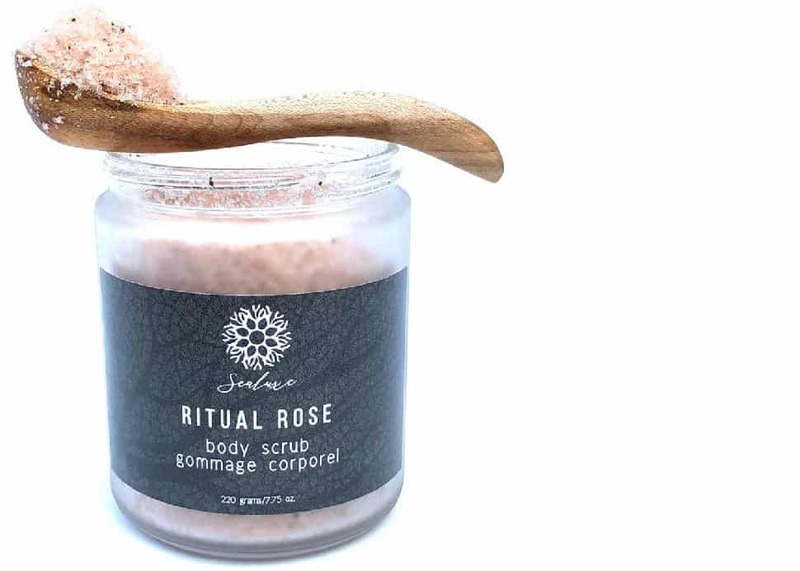 Infused with the fragrance of wild roses, it also has exotic oils to sooth the body, along with Himalayan salts to get rid of bumps and imperfections. This gift will become a daily favourite! 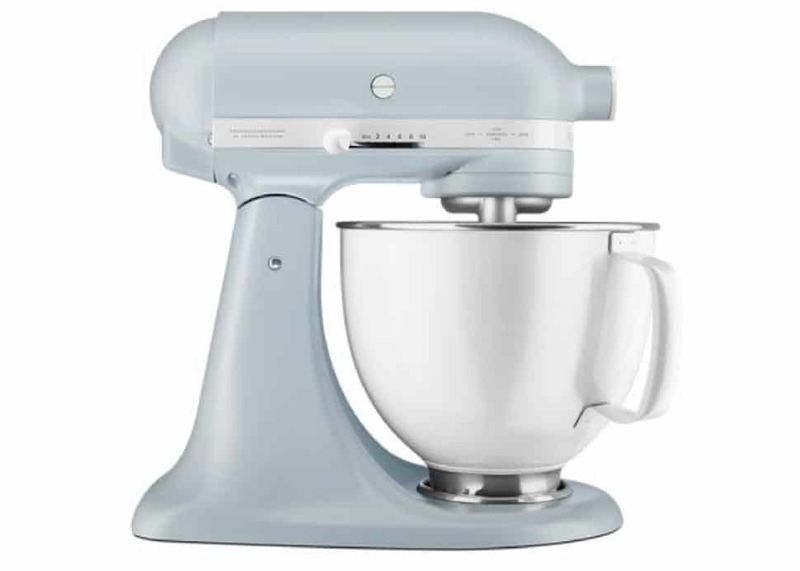 KitchenaidAs Kitchenaid celebrates 100 years of iconic products, their Misty Blue stand mixer pays tribute to one of the very first colours ever featured. It’s not only eye-catching in the kitchen, but comes with 10 different attachments to do everything from making pasta to blending burger patties. A truly exclusive gift! 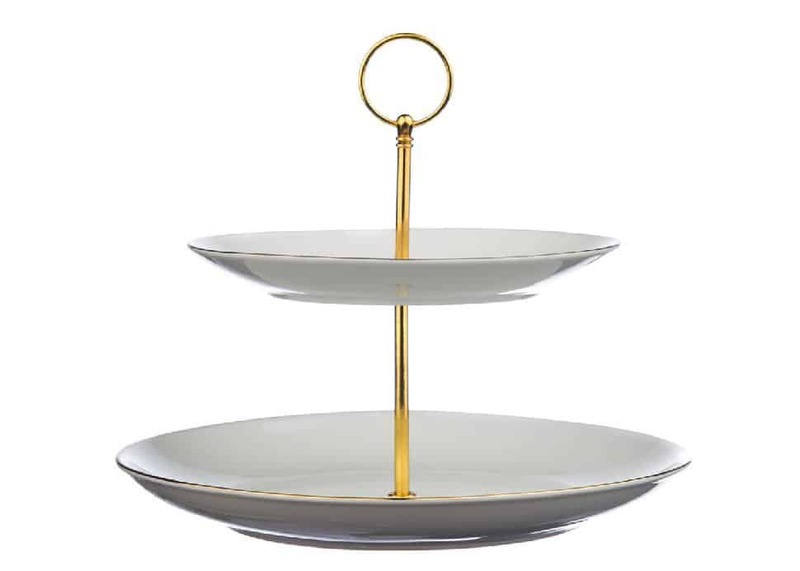 LoblawsThis two-tier serve stand from President's Choice makes a practical gift for any home decor enthusiast. From placing mini cupcakes to bite-sized sandwiches, nuts and raisins, or even Christmas crafts, there’s tons of ways it can be used. Not to mention it’s easy on the pocket book too. 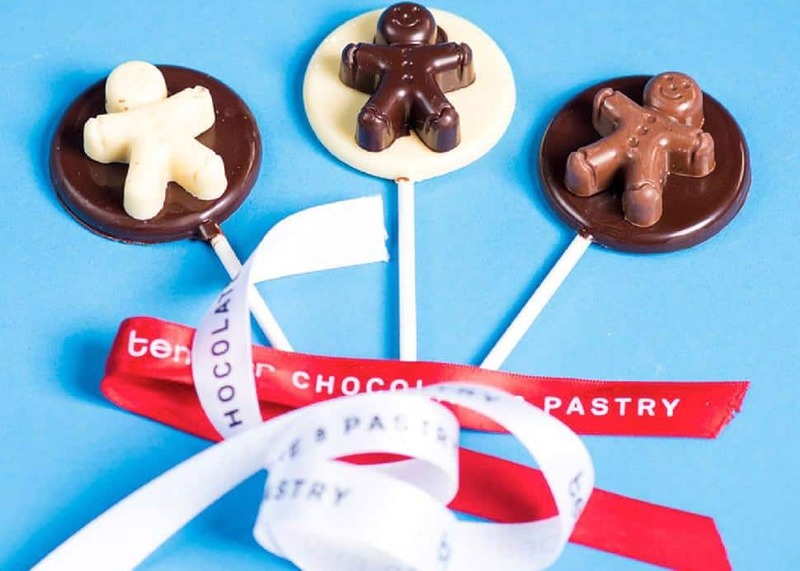 https://temperpastry.comIf she has a sweet tooth, these yummy stocking stuffers by Temper Chocolates and Pastry can’t be wrong. 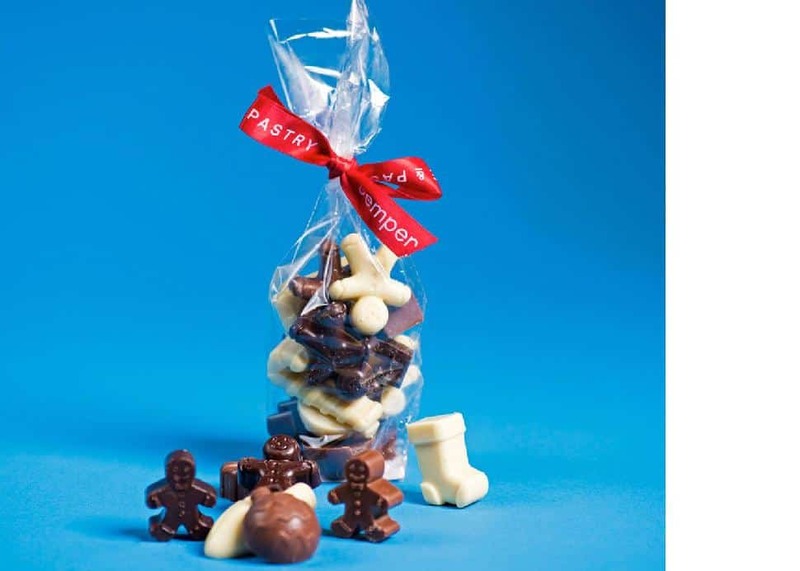 The cute little bags have different festive shaped goodies including ornaments, snowmen and more. They make a delicious addition to any Christmas collection. Make sure to place your online orders in time! Simply BeautifulIn April, the folks behind Simply Beautiful decided to shine a light on clean, green, homegrown beauty. This special collection includes five exceptional—and Canadian—products, each having topped their respective categories. Included are gems from AG Hair, Woodlot, Elate Cosmetics, Huna Apothecary and Well Told Health... at a price that is 25 percent off retail. 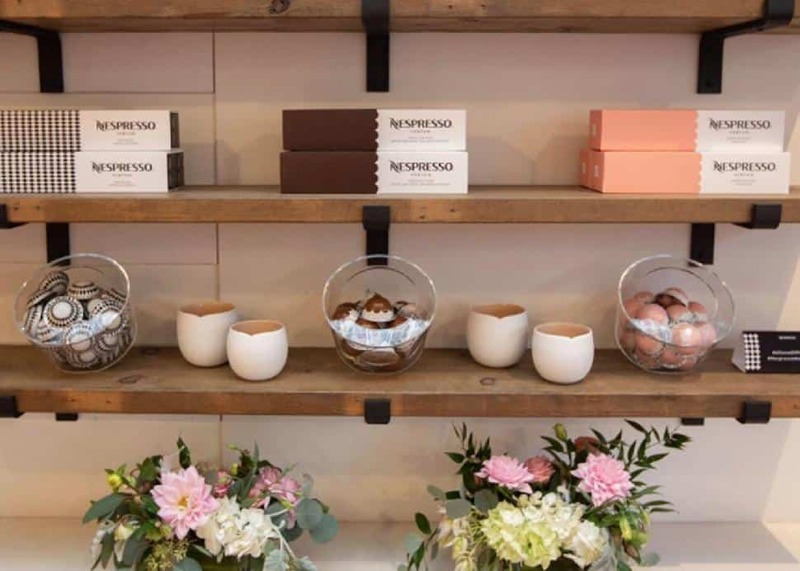 https://www.nespresso.comDoes your special someone love coffee? This season, Nespresso has teamed up with renowned interior designer India Mahdavi to create gorgeous Parisian-style accessories and limited edition capsules inspired by the flavours of macarons, pralines and more. Chez ChristopheIt’s easy to buy chocolate, but what if she gets to make her own piece? 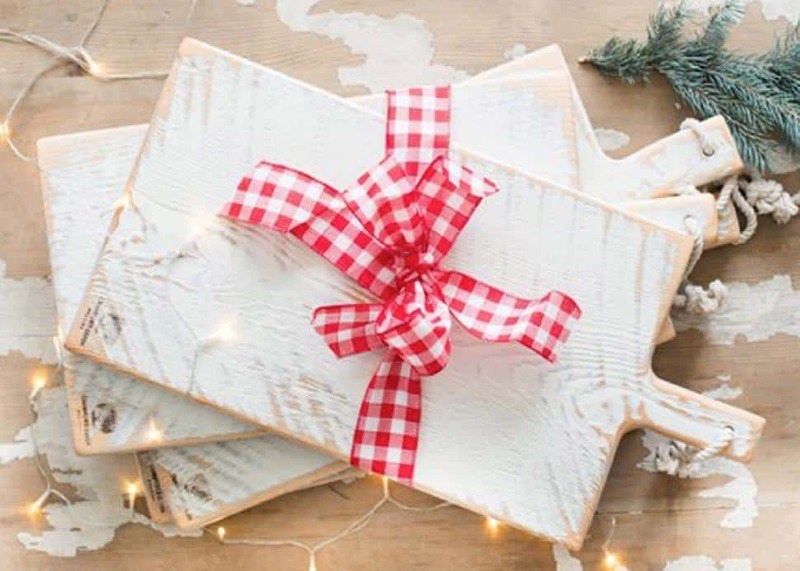 With delicious ingredients and simple instructions, award-winning pasty chef and chocolatier Christophe Bonzon’s DIY Chocolate Bark Kits are an awesome gift for anyone who loves to get a little creative. There are two flavours to choose from, Hazelnut Spice or Candy Cane, and there’s even a step-by-step video online for anyone who may need a little extra guidance. 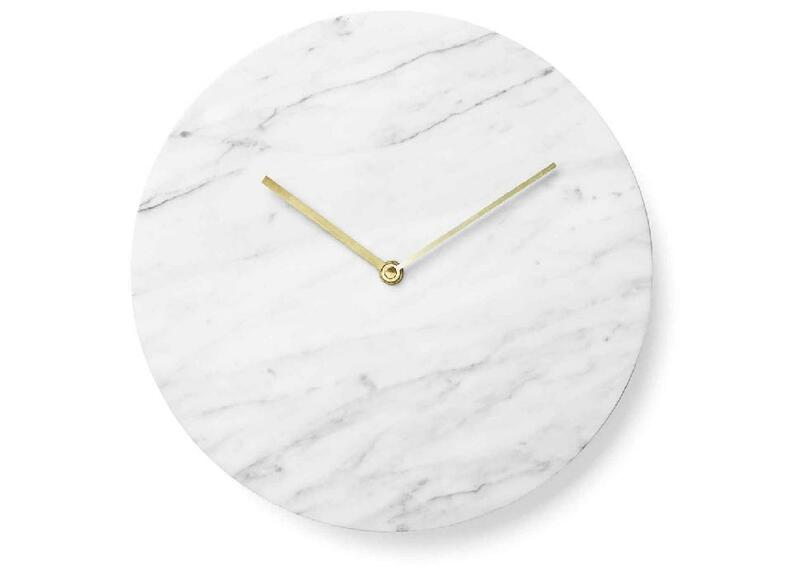 Atkinsons of VancouverMenu’s aesthetically-pleasing Scandinavian designs make a fabulous addition to any workspace or home, and this white marble one is definitely one of our favourites. The gold accent gives this piece just the right amount of glam, and is sure to be appreciated by all. 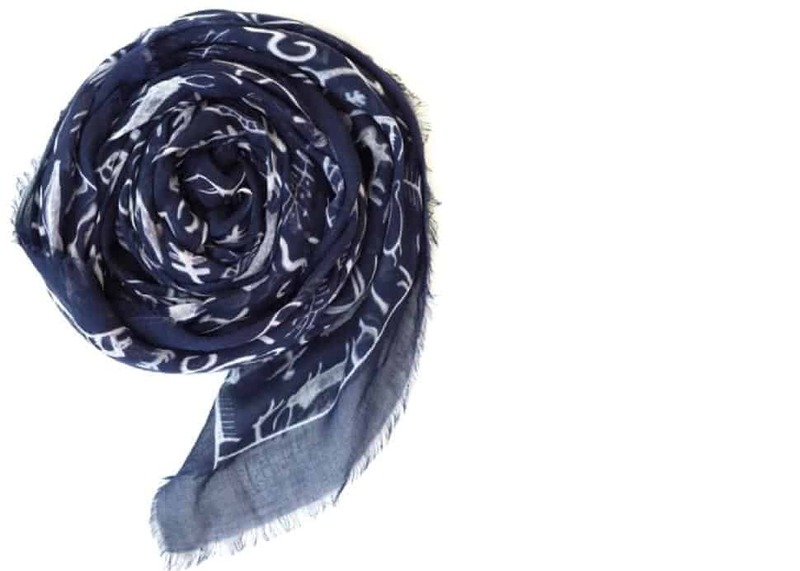 ObakkiThis beautiful deep navy, 100 percent rayon scarf not only looks good on, but benefits residents of Bidi Bidi, the world’s largest refugee camp, housing over 300,000 people. Every scarf contains information about the Obakki Foundation, and how proceeds will also help residents access clean water, education, psychological support and more. Facebook/The 7 VirtuesThe 7 Virtues consistently wins over consumers with quality and with heart. Supporting rebuilding efforts in countries torn apart by war and strike, they do good... and smell good. 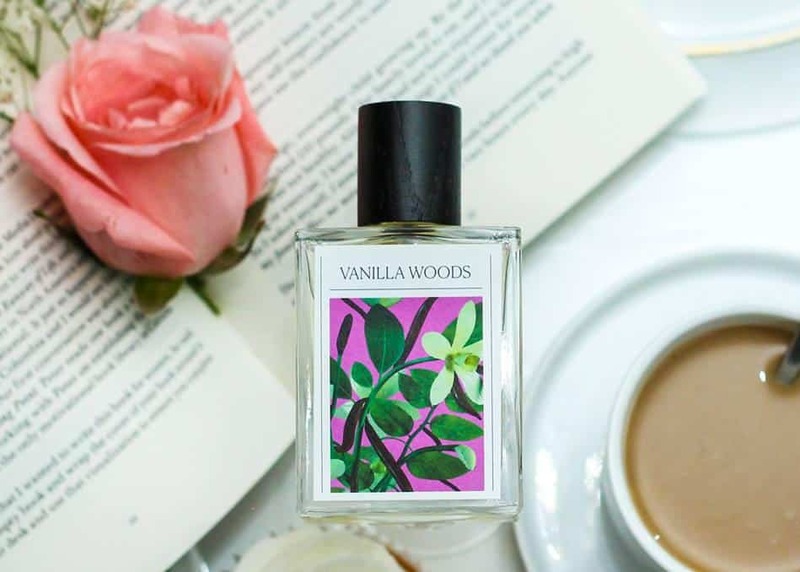 Their delicate Vanilla Woods eau de parfum is made with organic, fair trade vanilla gathered from a sustainable cooperative in Madagascar, and the resulting fragrance is available exclusively at Sephora. 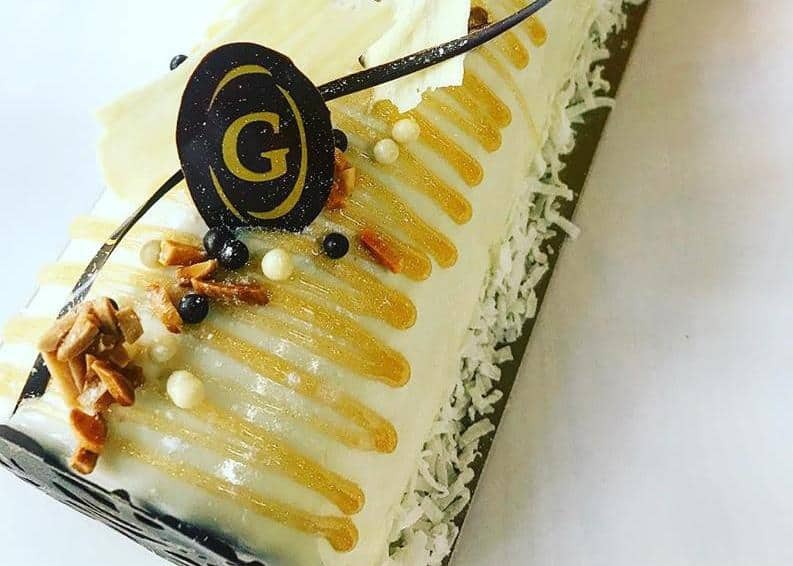 LadureeLadurée’s newest collection has been put together by prestigious Scandinavian pastry chef Sverre Saetre who was tasked with creating an exclusive Nordic line for the holiday season. 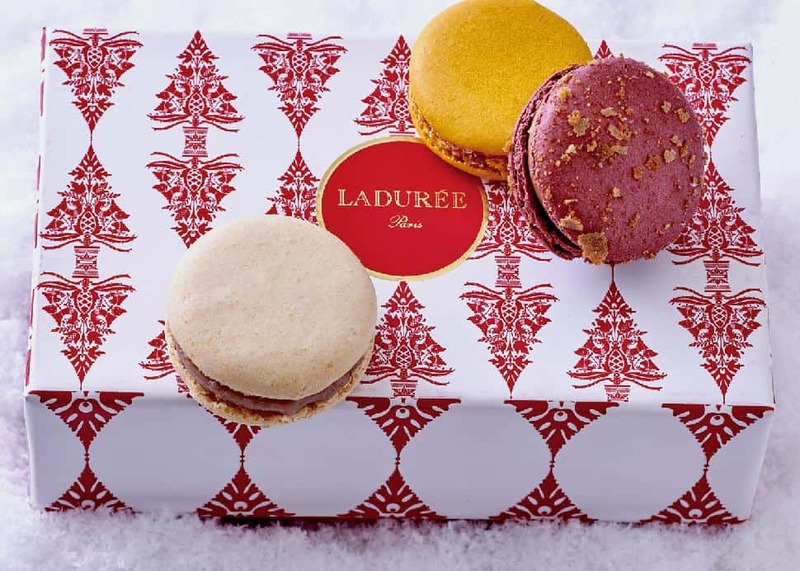 Featuring delicious macarons in red, white and gold, these delightful boxes are sure to brighten up anyone’s day. Blue RubyYour gift to a loved one can also help single mothers and their children, thanks to Blue Ruby’s newest Cause We Care holiday bracelets. 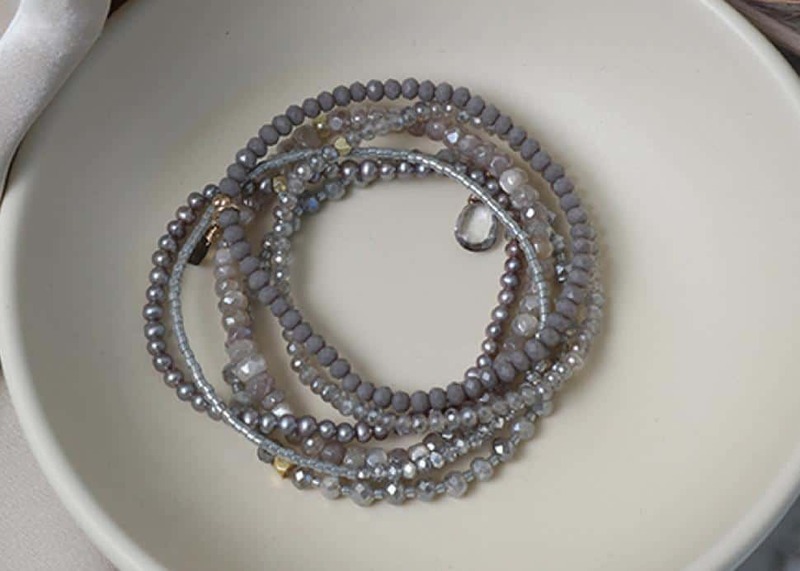 Featuring gorgeous moonstone, labradorite, fresh water pearls and crystal beads, they look effortlessly trendy when worn stacked together or alone. The bracelets are available at all Blue Ruby locations, as well as Hill’s of Kerrisdale, Hill's Dry Goods Kitsilano and Hill’s Dry Goods South Granville. Thierry ChocolatesChocolatier and patissier Chef Thierry Busset knows how to bring holiday cheer to the table. 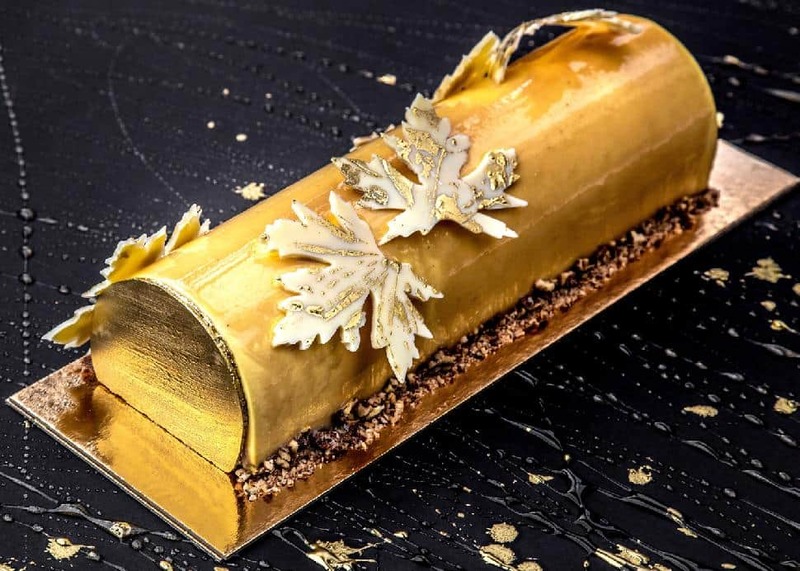 His festive collection includes artisanal desserts and a variety of traditional Yule log selections, such as this maple and praline-filled option with maple mascarpone, mousse, pumpkin sponge and pecan pralines. It’s hard to resist taking a bite before you gift it. Don’t say we didn’t warn you! 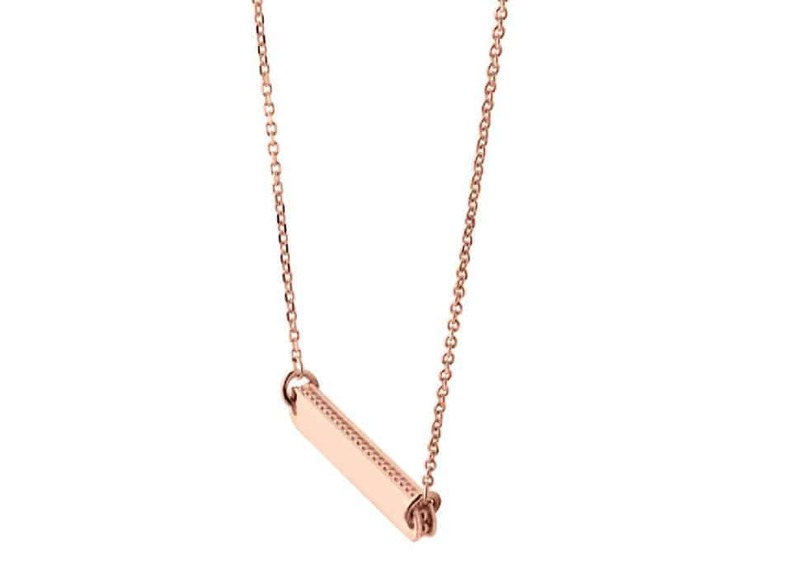 Links of LondonThis minimalistic rose gold bar from Links of London can be engraved with letters, dates or memories of your choice. It looks incredibly fashionable when worn alone, or with other necklaces, and your loved one will cherish this personalized gift forever. 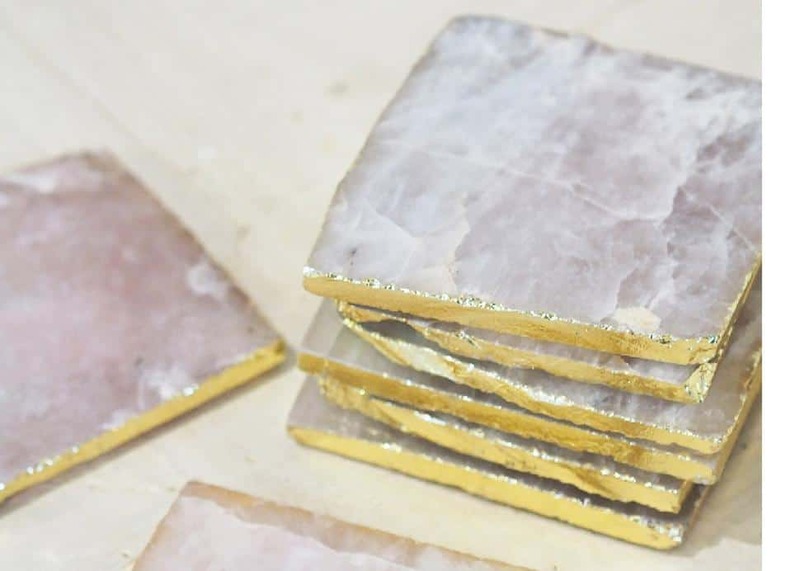 The Cross Decor and DesignUltra chic and modern, these pink and gold coasters from The Cross Decor and Design will give any table a subtle hint of glam. If you know the woman in your life likes to keep up with decor trends, then here is the perfect gift! Make waking up in the morning a refreshing experience for your loved one. 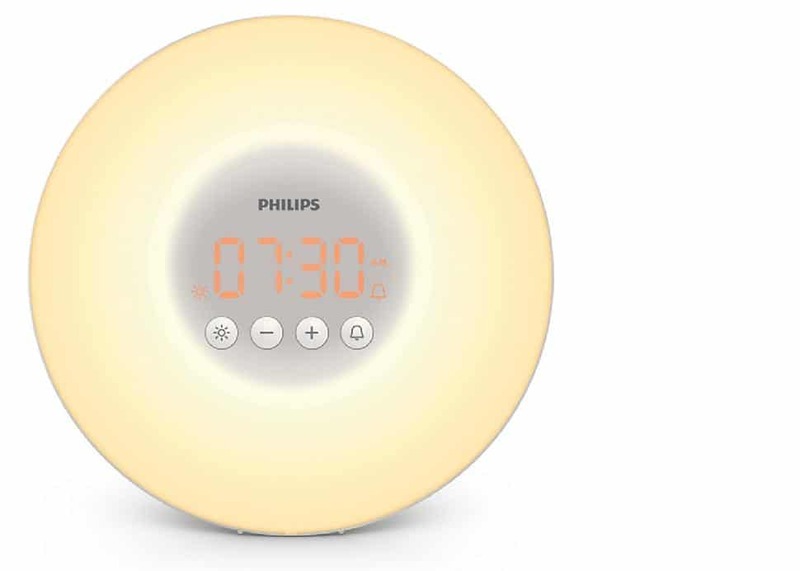 This beside lamp uses sunrise simulation to wake up the body naturally, and uses gentle sounds which you can choose. The light slowly increases over time, with 10 different intensity settings. 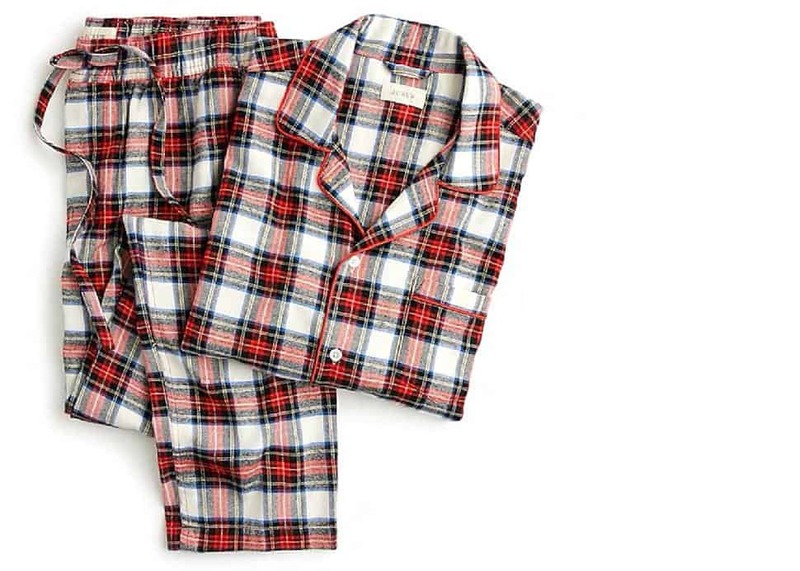 This flannel set by J.Crew is perfect for lazy days at home. Not only are they warm, but the tartan trend never seems to go out of style, meaning they can be worn all year long. Strange Fellows BrewingIs he a craft beer enthusiast? Get him a Fellowship membership from local East Van brewery Strange Fellows. 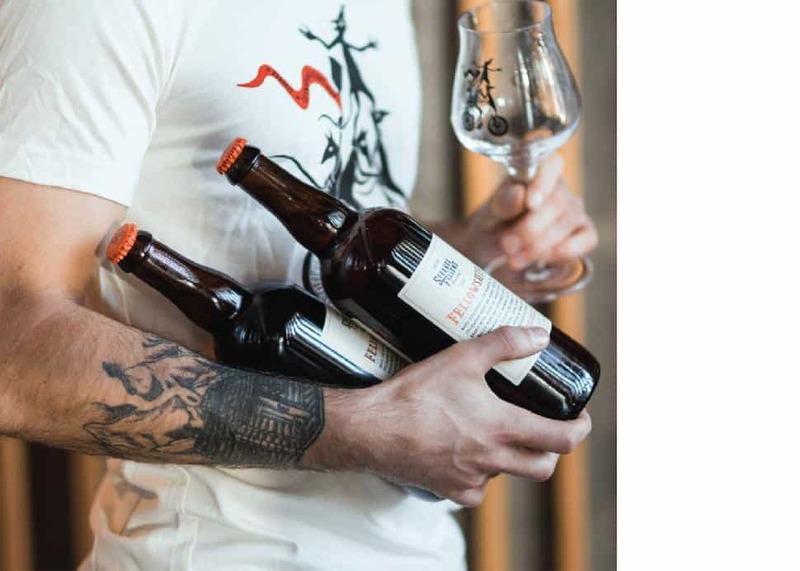 It includes exclusive beer tastings, merchandise, a tasting glass specially made for barrel-aged beers and event invites. You can never go wrong with sophisticated cocktail glasses at home, and we love this modern looking one by Saint Louis, a company that has been creating gorgeous designs in France since 1586. 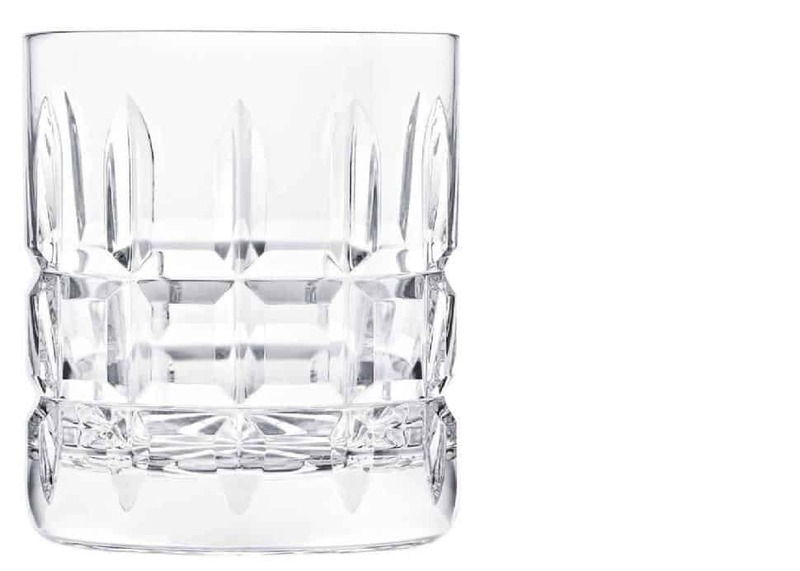 Whether he likes his drinks shaken or stirred, this glass is sure to become a reliable favourite. 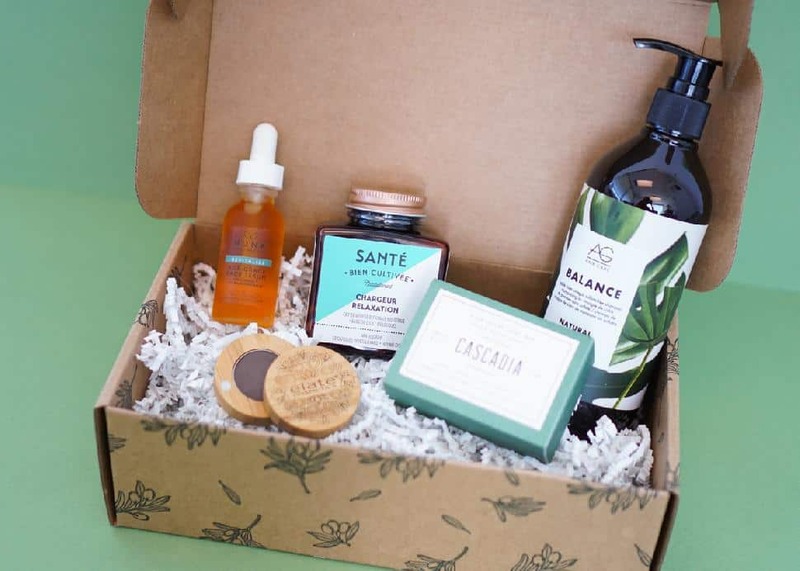 Simply BeautifulThe men's iteration of the popular Simply Beautiful subscription box, this seasonal subscription delivers six to eight specially curated products to doorsteps across the country every 90 days. Showcasing amazing accessories, personal grooming products and more, it's a great way to amp up any guy's style. 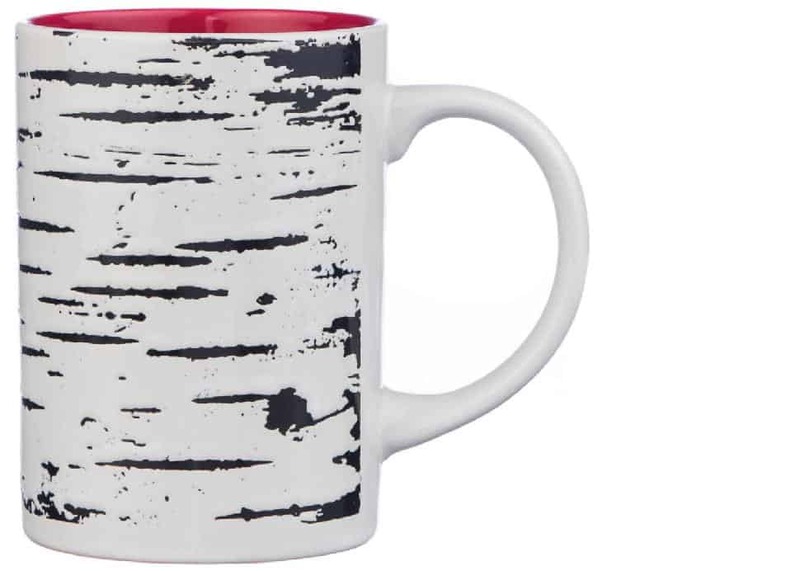 This cool looking mug makes a functional—and affordable!—gift for any man who enjoys a cup of tea or coffee. The birch accents give it a little winter vibe which we love! This sleek, silver tie bar by Links of London can be engraved with any message or date for someone special. The simplicity of the design makes it a great accessory for the modern man! Here’s an awesome gift for anyone who loves staying active, and keeping tabs on progress. 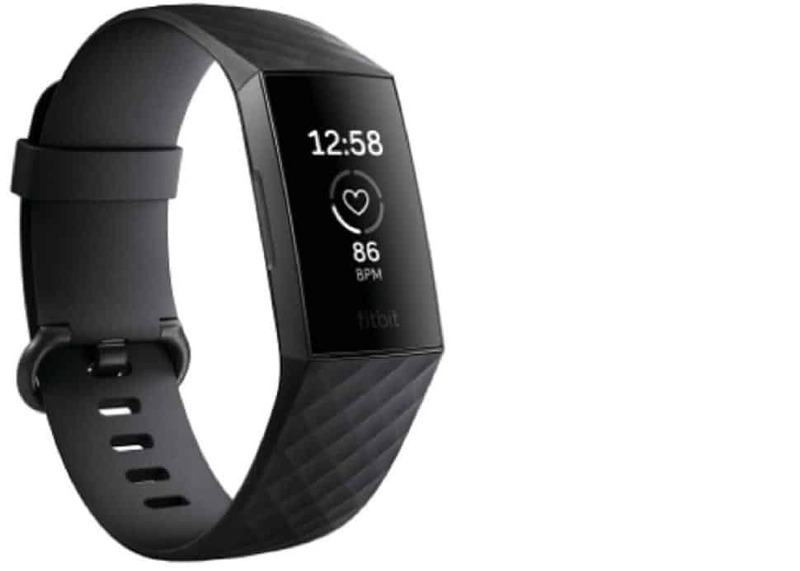 This waterproof fitness gadget tracks everything from 24/7 heart rate and calories burned, to hours of sleep and more. It comes with more than 15 exercise modes, and the battery lasts up to seven days of continuous use. 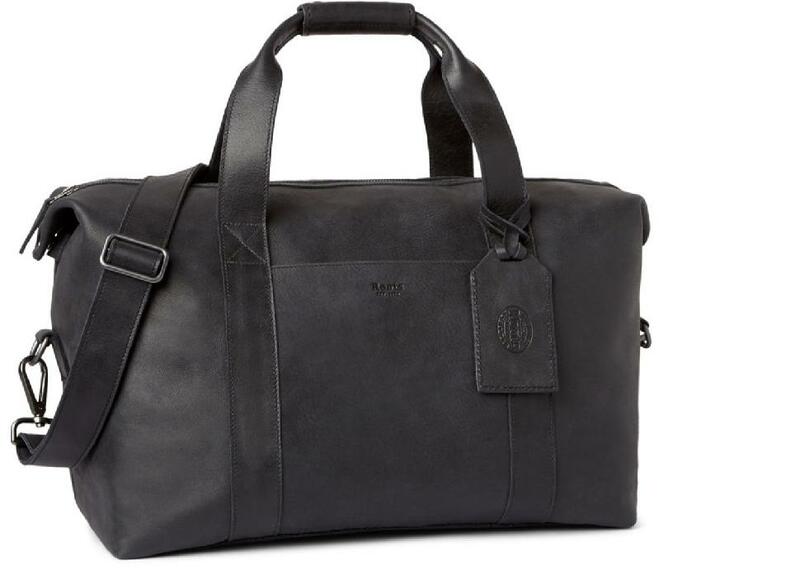 This versatile bag is a great gift for the businessman who is constantly on the go for work, or for the guy who loves local getaways. Handcrafted in Canada, it’s super adjustable and incredibly stylish. Definitely one of our favourites! 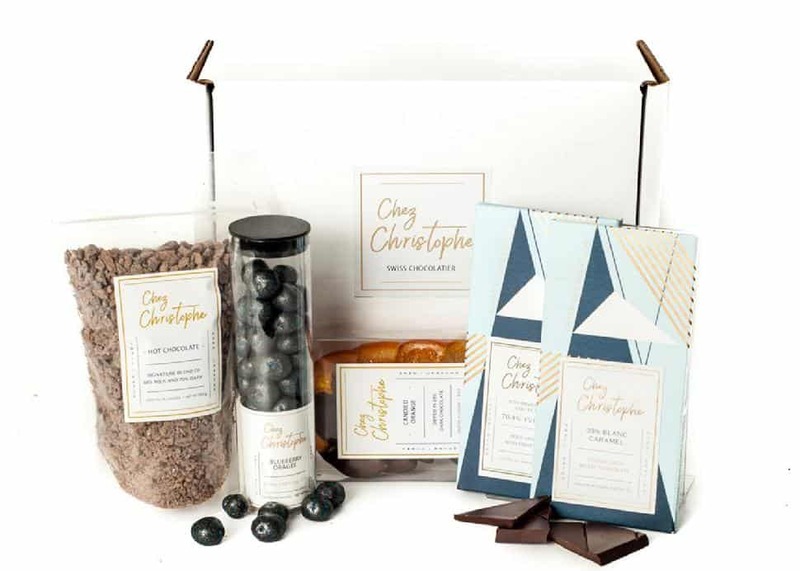 We all know someone with a sweet tooth, and this delicious holiday box by award-winning local chocolatier Chez Christophe has all the best selections combined together, including a signature hot chocolate blend, candied oranges, two decadent chocolate bars and blueberry dragée. Our mouths are already watering! 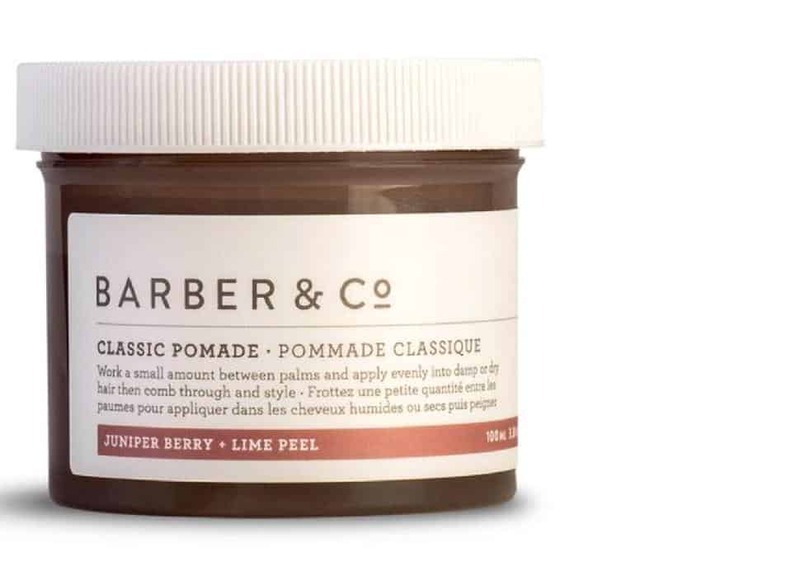 Vancouver’s own Barber & Co. has fabulous products for men, and this classic pomade is a definite favourite. It’s non-greasy, and delivers a medium hold with a high shine finish that lasts throughout the day. We also love how it’s infused with silk and wheat proteins to keep hair strong, plus the natural essential oil scent—based on a recipe of dry English gin—is pretty irresistible. 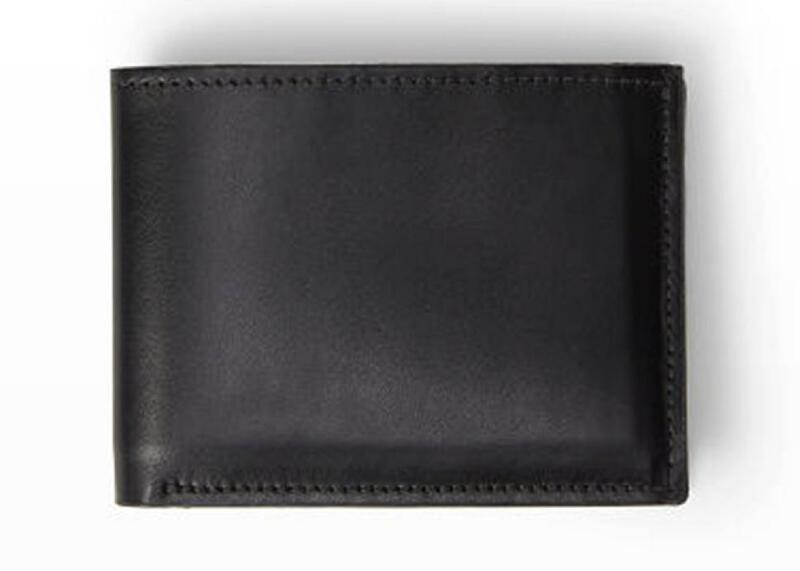 This leather wallet by Club Monaco is a perfect daily essential with its four card pockets, and two slip pockets inside, not to mention the tan colour inside adds fun contrast. A functional, yet trendy, gift indeed! He will surely appreciate this little wonder by Saje that’ll keep the car smelling fresh and clean. 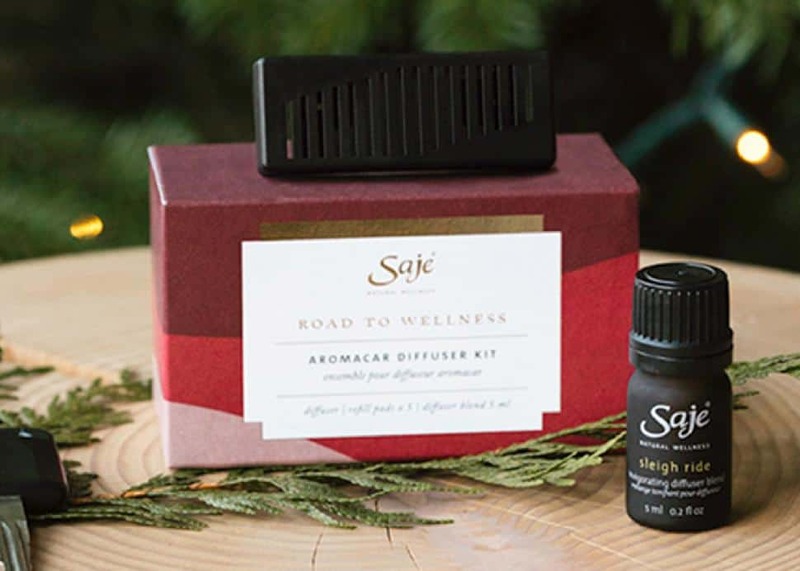 It’s simple to use, and refill pads for essential oils are always available in stores. Any oil can be used depending on preference, but this one comes with the Sleigh Ride Blend, a combination of eucalyptus, spearmint, sandalwood, orange and more that is perfect for the holiday season. If he’s a wine enthusiast, he'll love the gift that keeps on giving. Voted the top winery in Canada by the 2018 National Wine Awards, B.C.’s own Road 13 has a special wine club that will send three shipments of six bottles to your doorstep every year, along with extra perks such as a 10 percent discount on wine purchases, along with event invites, complimentary tours and more. 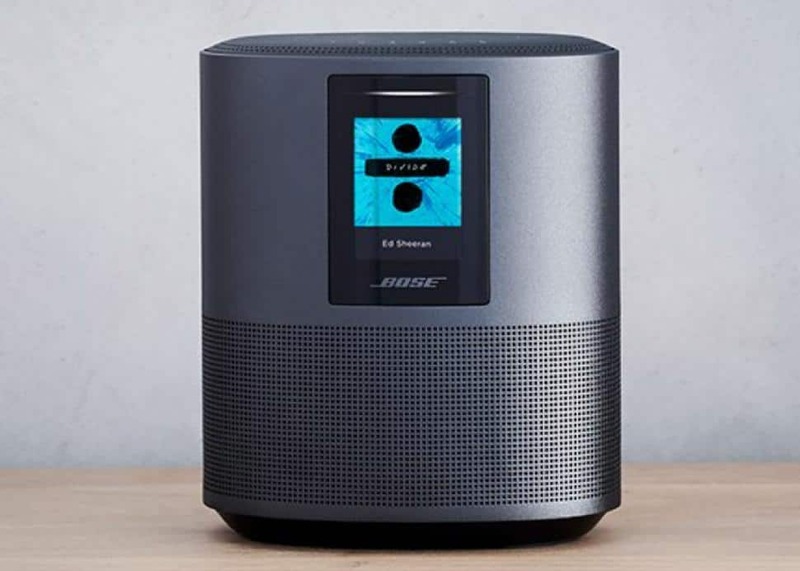 BoseThis top-rated new speaker by Bose has a number of intriguing features, including superior voice pick-up, wall-to-wall stereo sound, six preset buttons, wi-fi and bluetooth connectivity, built-in Alexa and much more. Truly a gift anyone would appreciate. 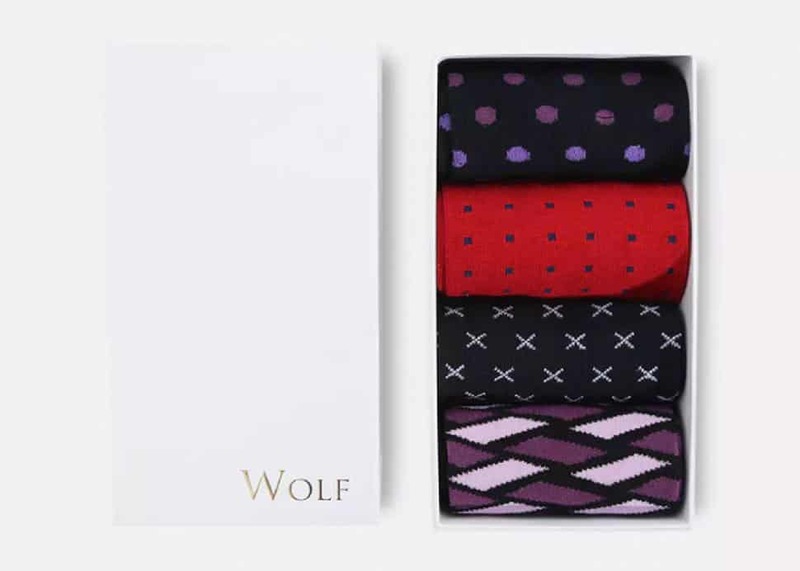 Everyone loves fun, cozy socks, and this box set by Wolf lets you pick four of your top designs. The patterns and colours are sure to bring a smile to your loved one’s face... and keep those toes warm in the winter too. As the weather cools down, nesting mode kicks in, and more nights are spent at home sipping festive spirits, baking holiday goodies and cooking up a storm. To make holiday magic happen in the kitchen, gift one of these suggestions to each of the foodies on your holiday gift list. Gillespie's Fine SpiritsThere is nothing more festive than the newly released Christmas Baubles crafted locally in Squamish by Gillespie’s Fine Spirits and available at Legacy Liquor Store or online. 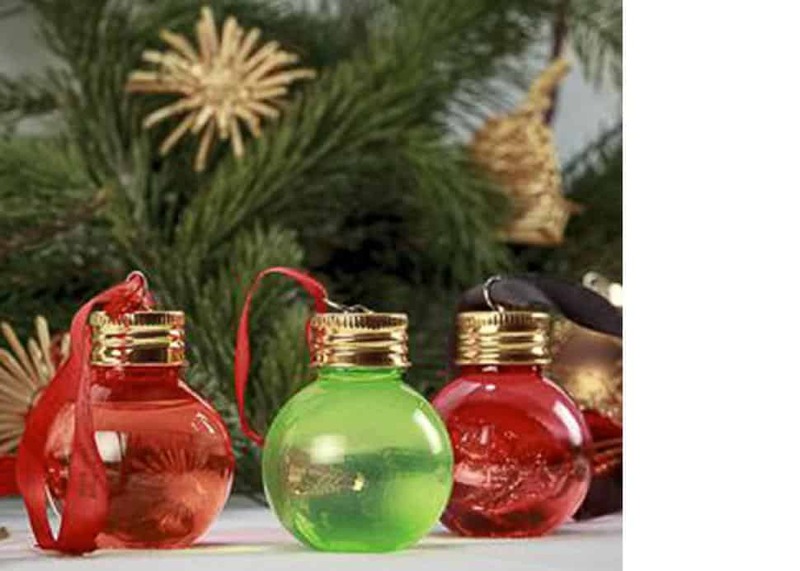 These boozy baubles filled with craft spirits come in singles ($7.50) or a 12-pack. They are available in Sin Gin, Lemoncello, Raspberry Gin, Cranberry Gin and Pink Gin. Blasted ChurchHow about a special bottle for those who’ve been very nice this year? 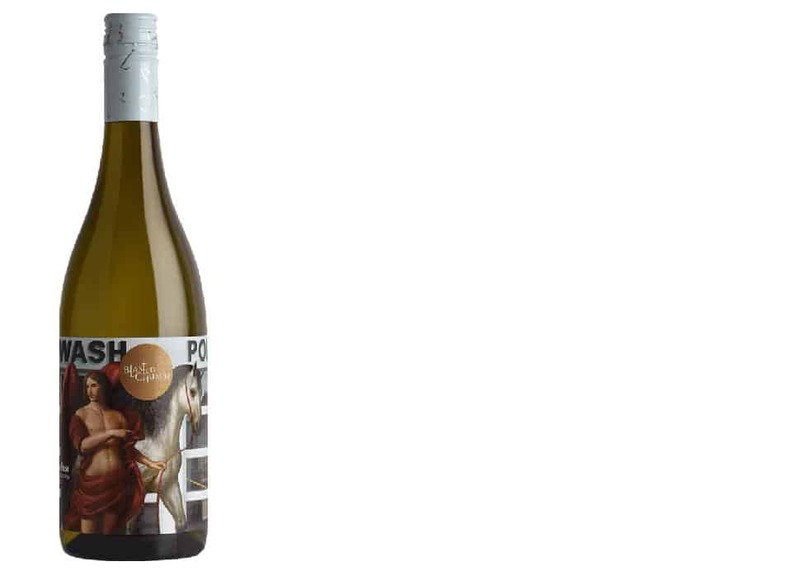 The Okanagan's Blasted Church offers great labels of their "spiritual" sips, including the Big Bang Theory Red ($21.50)—with hints of cranberries and cherries—or the Hatfield's Fuse white ($16.75), which is perfect with seafood dishes. Spearhead Winery's Pinot Noir makes an impressive gift, as does a bottle of Sea Cider Rum Runner Cider ($19.65) from Vancouver Island. From further afar, the Morgon 2017 from Mathieu and Camille Lapierre is a certain Beaujolais smash ($44.99), and if you have a budget to blow, Dom Perignon Rose Limited Collection 2005 ($295) is sure to impress. 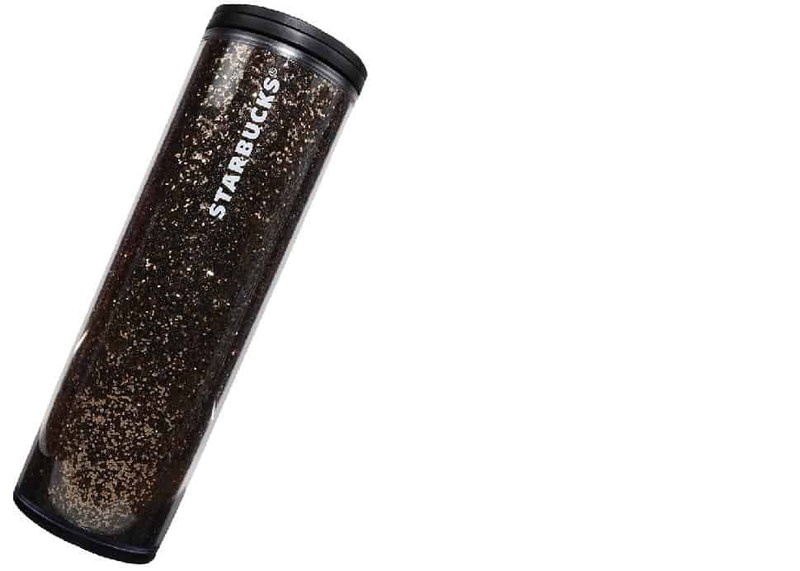 StarbucksYou know you’ve got a few Starbucks addicts on your list, so a gift card tucked into one of their shiny new Double Wall Ceramic Sparkle Blend Tumblers or perhaps a Black Sequin Cold Cup would be sure to please. We've been enjoying the new holiday flavours from Nespresso, including the Exotic Macaron and Madeleine. The company's Vertuo machine is on sale over the holidays should you have someone that is really into coffee on your list... and has been extra good this year ($249). Silk Road is a local option. Both their outpost on West 4th Avenue and their Victoria shop are full of wonderful teas, mugs, tea towels and plenty of wellness products. 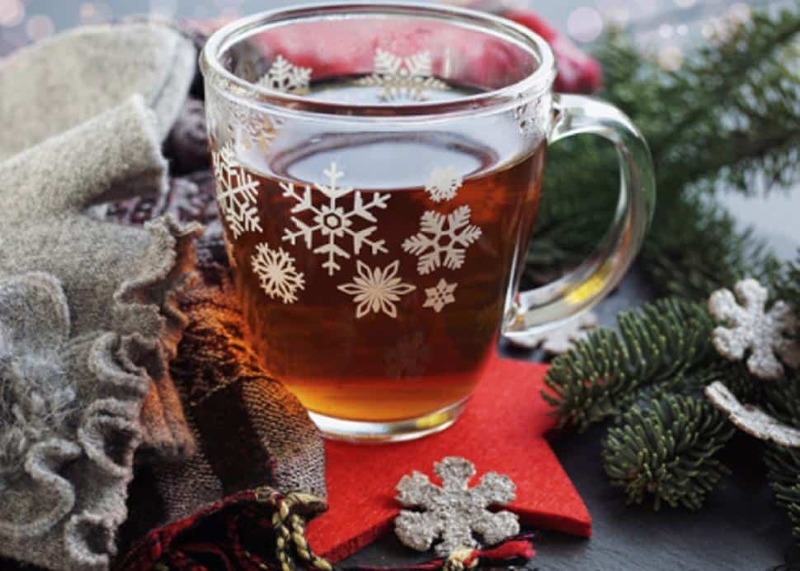 A great gift would be the Winter Spell, a bewitching blend of mulling spices, apple and black tea, delicious with equal parts heated apple juice or milk. Add a shot of brandy or rum for a real treat! 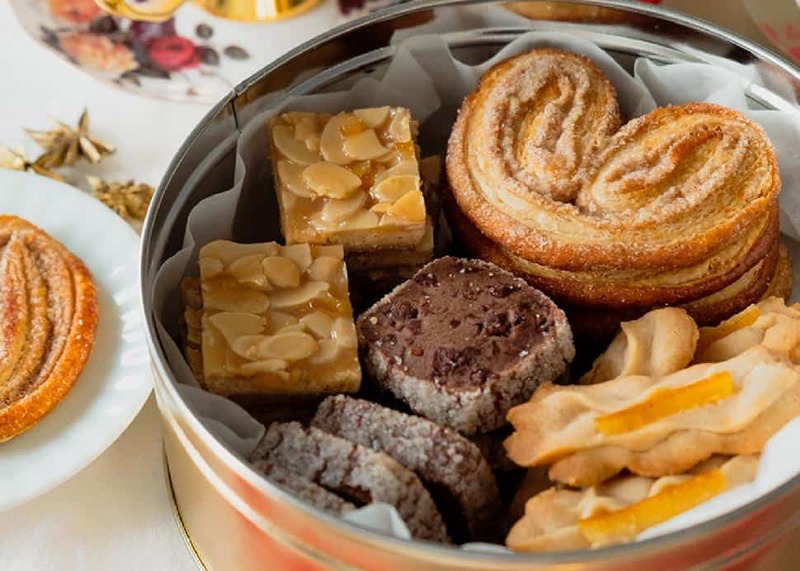 Beaucoup BakeryIt wouldn’t be the holidays without extra sugar, so why not give something super sweet such as the Beaucoup Bakery limited edition cookie box in a special holiday tin ($60)? Beaucoup’s owner, Betty Hung, also has a new cookbook out, French Pastry 101, and it would make a great add-on. 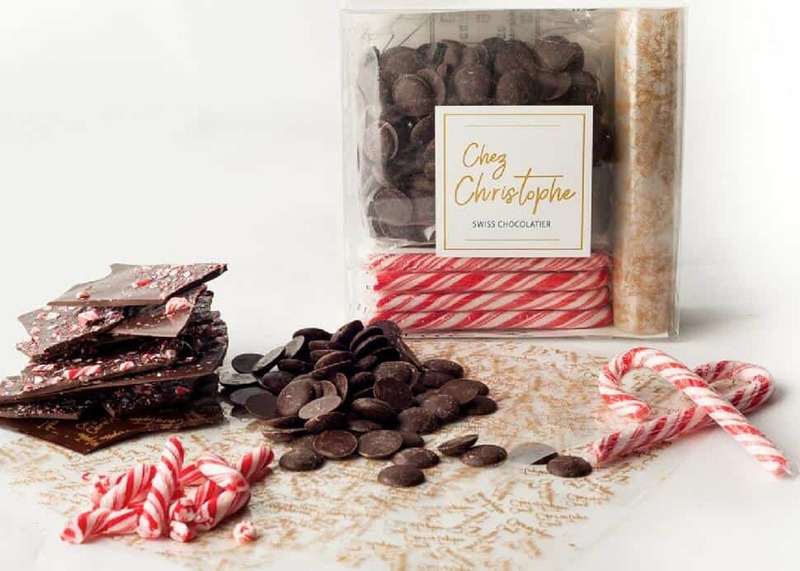 Chez Christophe has DIY Chocolate Bark Kits in candy cane spiced hazelnut, as well as his yearly seasonal chocolate sculptures. Facebook/Terra BreadsTerra Breads is always a go-to for holiday cookies. 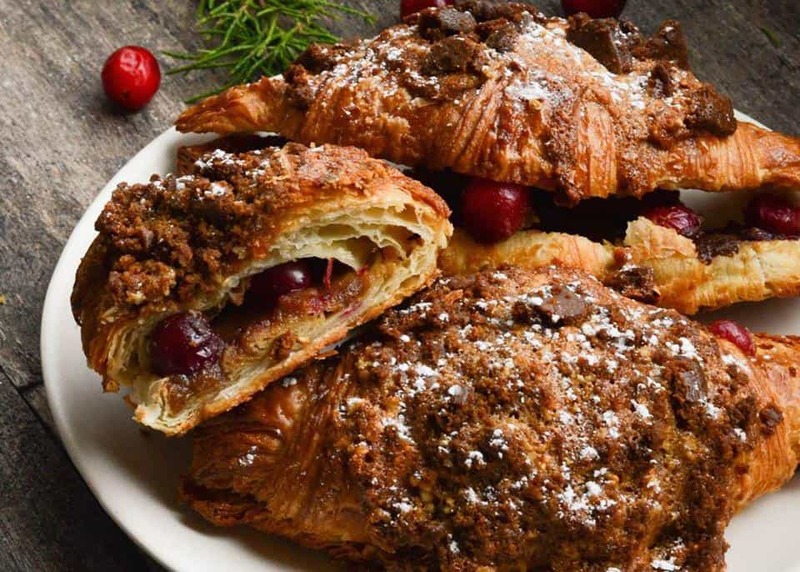 This year, they’re baking up brown sugar wreath cookies topped with pistachio and raspberry crisps, gingerbread bear cookies, toasted cashew and cardamom spice shortbread and a double-baked croissant with cranberries, dark chocolate and more. Put together a package with a few of each and you’ll be invited back every time! Facebook/Ganache PatisserieFor Bûche du Noël (or yule logs), we rely on Ganache Patisserie... and we always get asked to bring dessert once hosts figure this out. 2018's flavours include Coco Amande Chocolat and Caramel Café Pistache. Shopping for something food-related during the holidays or anytime throughout the year? You must stop in at Gourmet Warehouse. Use Anna Olson’s newest cookbook, Set for the Holidays, to plan your holiday cooking. Chef Ann's Tequi-Lime and Grand Marnier sauces make great stocking stuffers and Vista D’Oro’s The Preservatory offers a rhubarb and vanilla preserve that has become a gifting favourite. 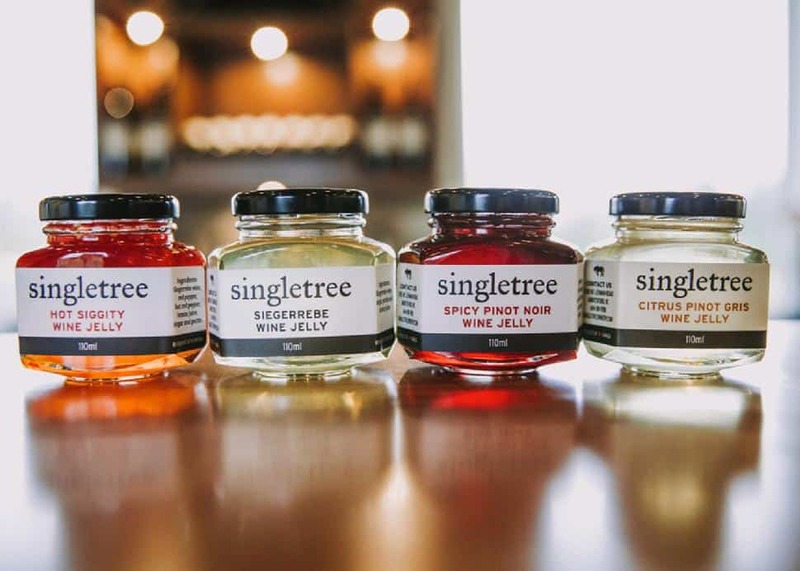 Singletree WineryTo kick holiday cheese and charcuterie plates up a notch, Singletree Winery's wine jellies are locally made, only $7.50 each and come in four flavours: Hot Siggity, Citrus Pinot Gris, Siegerrebe and Spicy Pinot Noir. 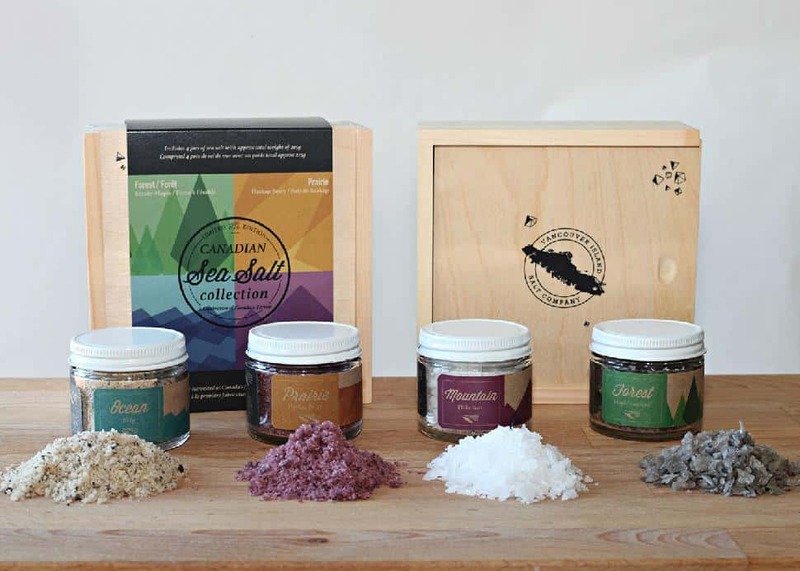 Throw a few in a gift bag with some cheese from Little Qualicum Mountain Cheeseworks and charcuterie from Oyama Sausage and you’ve got another great gift. 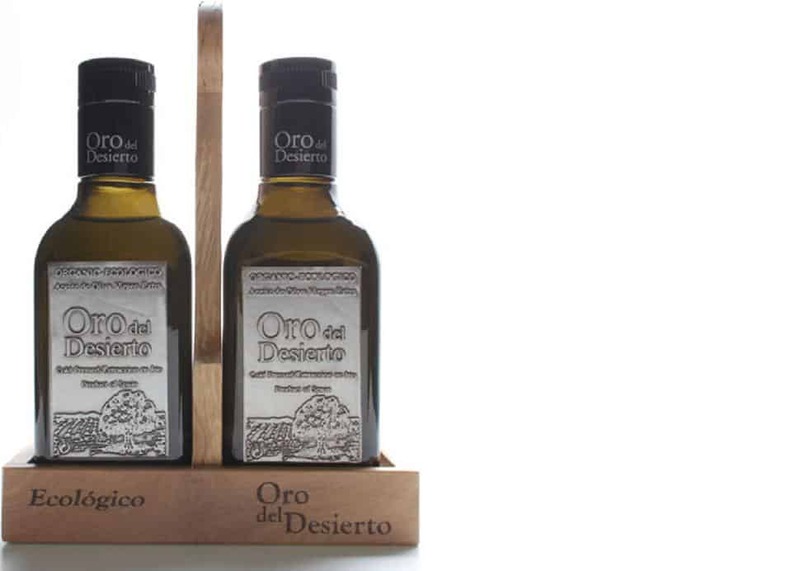 Oro del DesiertoA good olive oil—or three—is a must in any food lover’s kitchen, and recently we’ve been finishing things off with the Spanish organic oil, Oro del Desierto available at Cook Culture, where you’ll also find local Vancouver Island Sea Salts, a staple in our kitchen. Another great spicy stocking stuffer would be Chef Jeffery Young’s Char-Blue Spice Rub, which comes in beef, pork and chicken. 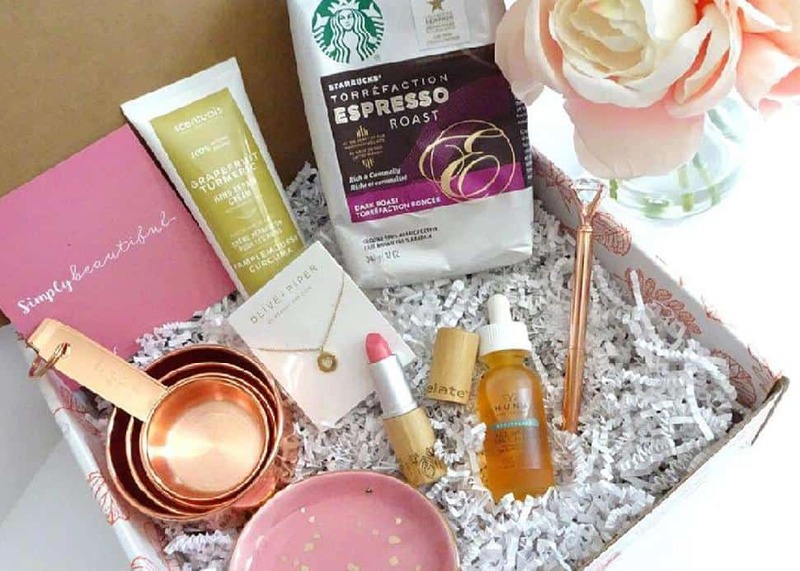 Our editor at BCLiving recently curated a Rose Gold Bundle, which makes an excellent gift for that person who has everything. 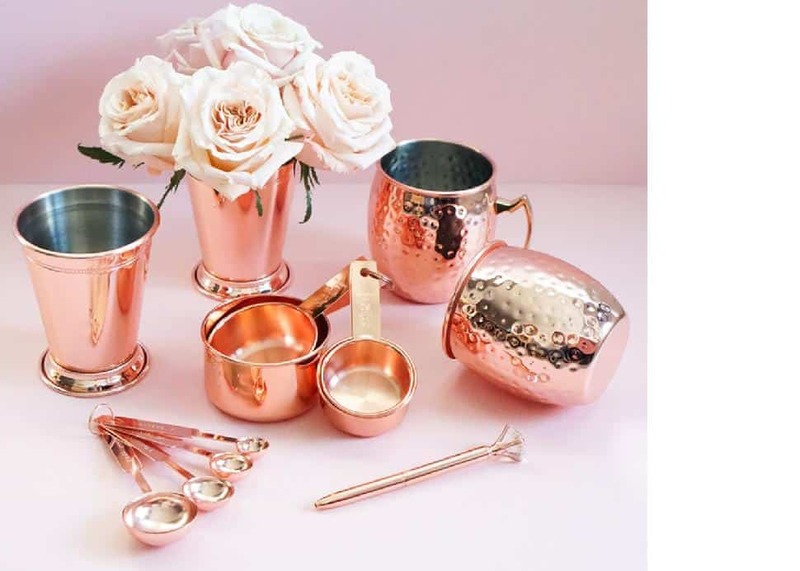 It includes rose gold measuring spoons and cups, rose gold Moscow Mule mugs, rose gold Mint Julep cups and a rose gold pen too! All-CladSmaller apartments mean smaller appliances and more multi-use kitchen equipment. 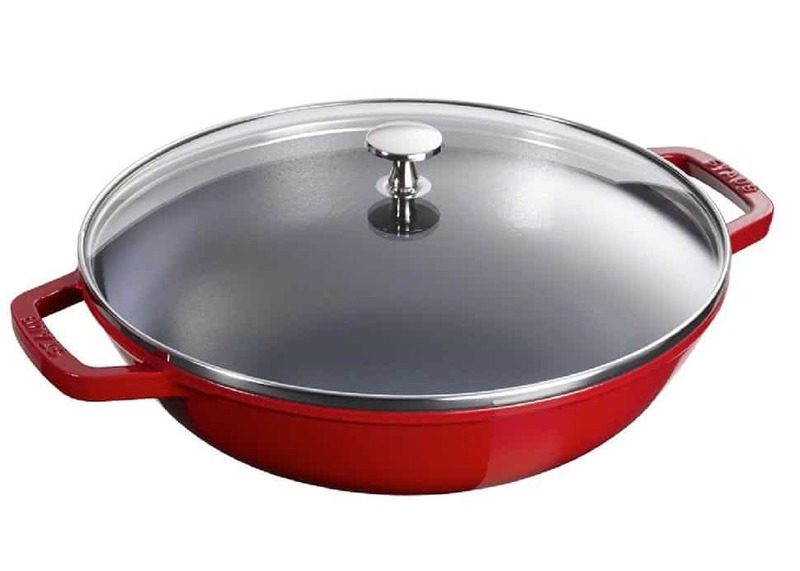 The Staub Cast Iron Wok ($300)—which can sear, braise and steam—is compact and light, replacing several other pans, while the seven-cup Kitchenaid food processor ($139.99) fits right on the counter. 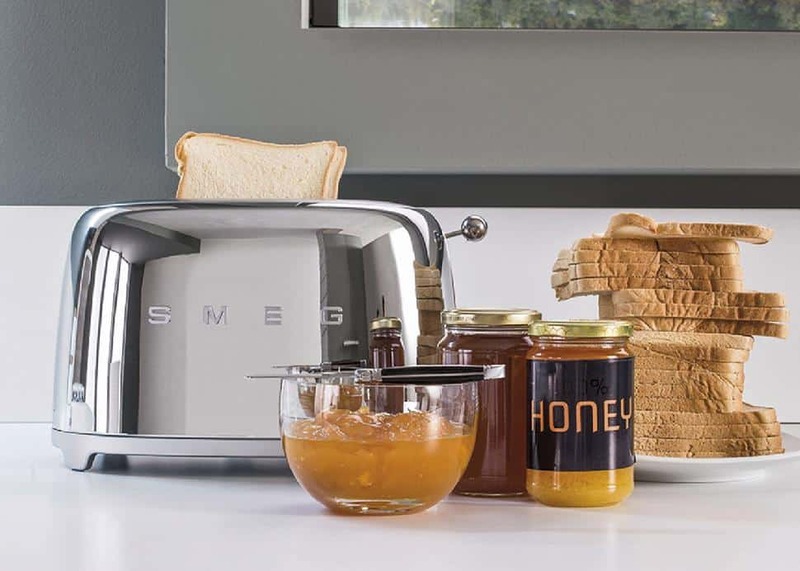 SmegFor those looking to upgrade their toaster game, the Smeg toaster is pretty much the most stylish appliance ever seen. 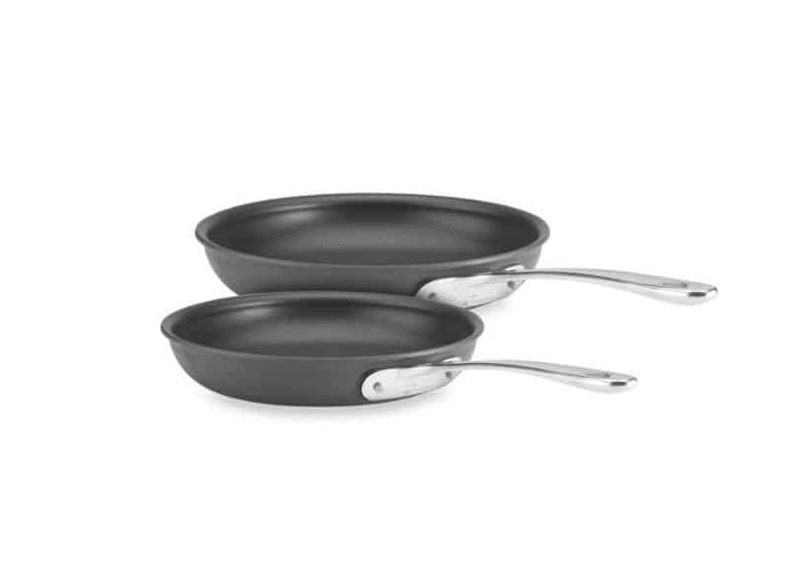 Bed Bath and BeyondGood saucepans are always welcome, and we recommend giving the non-stick All-Clad two-piece hard anodized fry pan set ($140), which features a flat bottom and flared sides that make flipping foods effortless. 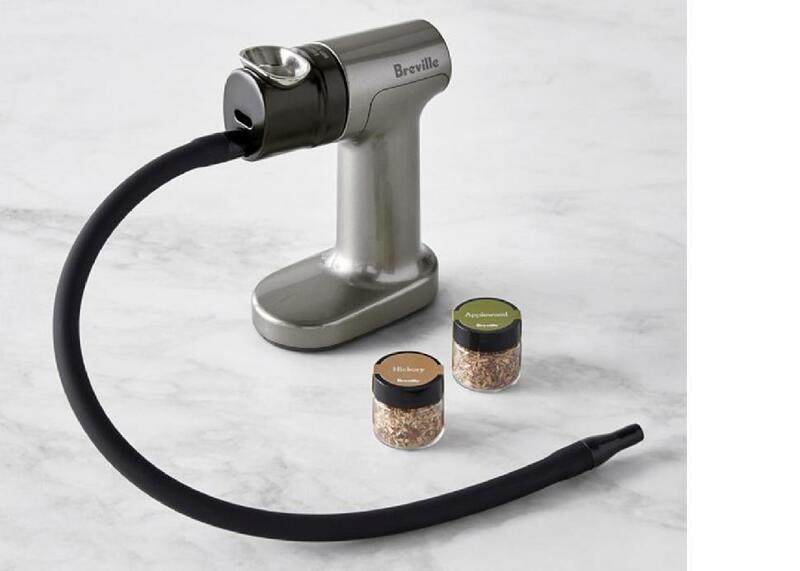 BrevilleWe’re also adding the Breville Smoking Gun to our kitchen. Even if your special someone owns everything, I bet they don’t have this yet. This tool infuses a smoky flavour into dishes. Once again, head to Gourmet Warehouse or Cook Culture for these items. Oh Sweet DayThis year, we perused many a cookbook and were super impressed with all the local tomes. We’ve used Angie Quaale’s Eating Local in the Fraser Valley as a guide to the valley many times ($29.95). It includes 70 locally-inspired recipes, suggests day trips, and even features hand-drawn maps to ensure you get the insider scoop. The Food Gays released Cooking in Color ($29) and it is chock full of food styling and photography tips, plus so many colourful plant-forward recipes that you’ll be inspired to spend more time in the kitchen. 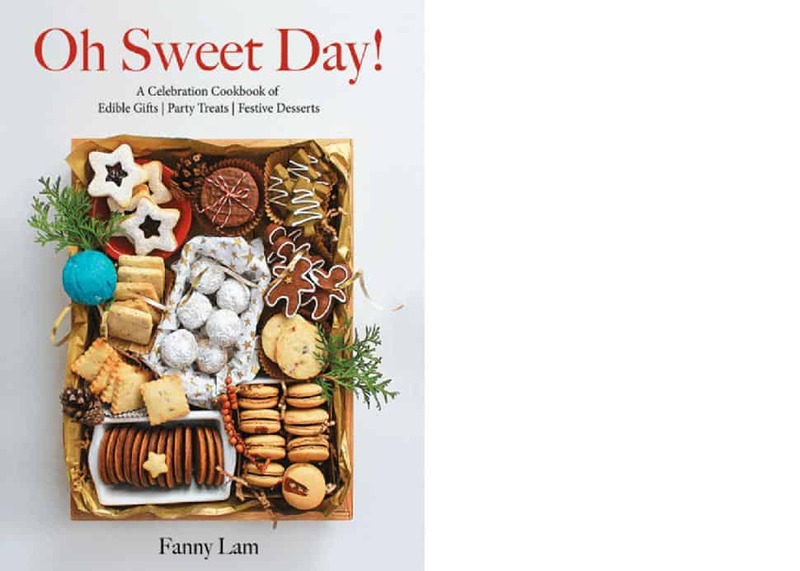 Abrams BooksVancouver Eats celebrates our city with 90 recipes from 45 of the city’s greatest chefs and restaurants, without getting overly complicated, and local Oh Sweet Day! has everything you need for holiday baking and beyond. 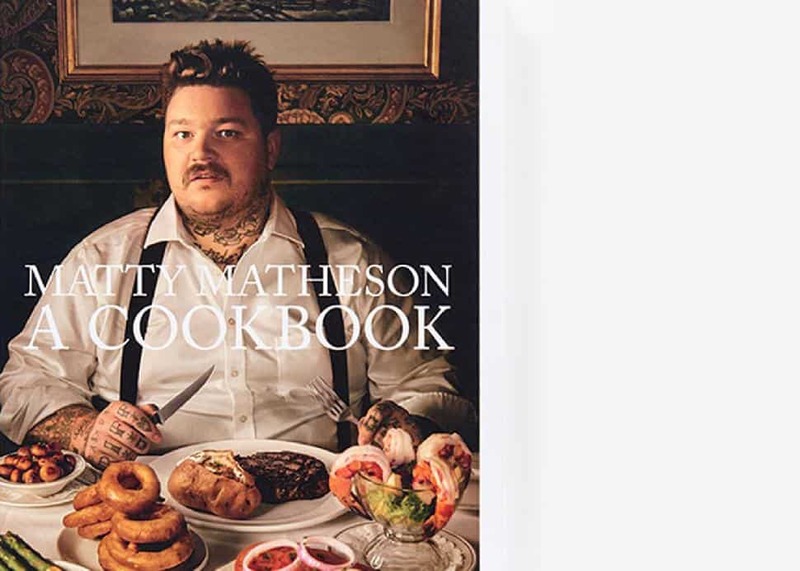 From a bit further east, we’ve been loving Matty Matheson’s cookbook/storybook, simply called Matty Matheson: A Cookbook, as it’s full of his memories of growing up in a food-centric family, boasting recipes from both his youth and his time as an acclaimed chef. PenguinYotam Ottonlenghi released Ottonlenghi Simple this year and is making it easier for us to cook with this book full of Middle Eastern-inspired recipes, most with 10 or fewer ingredients, and easily prepared in 30 minutes or less. Ina Garten just released Cook Like a Pro, where she delves into both simple and more complex cooking techniques that you’ll want to add to your repertoire. 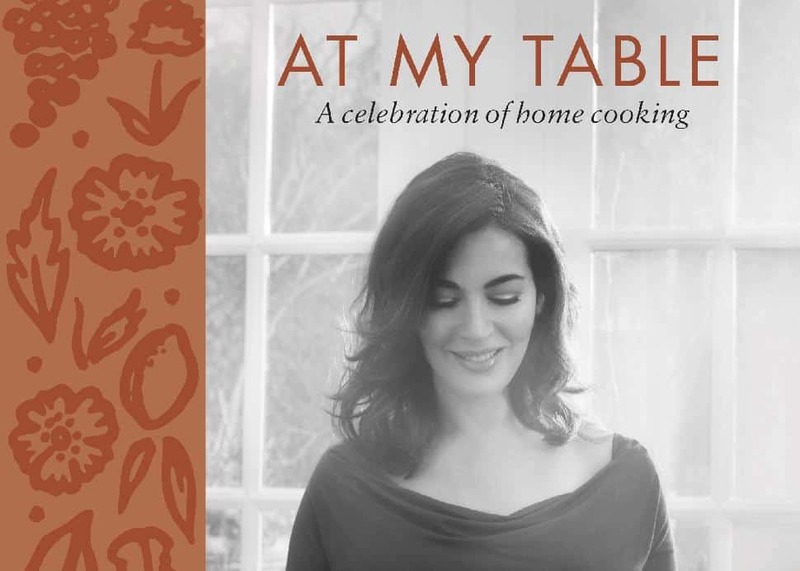 Nigella Lawson's At My Table would make a welcome addition to any book shelf, with its delicious recipes for Chicken Fricassee, Sticky Toffee Pudding and a generally uncomplicated flair. 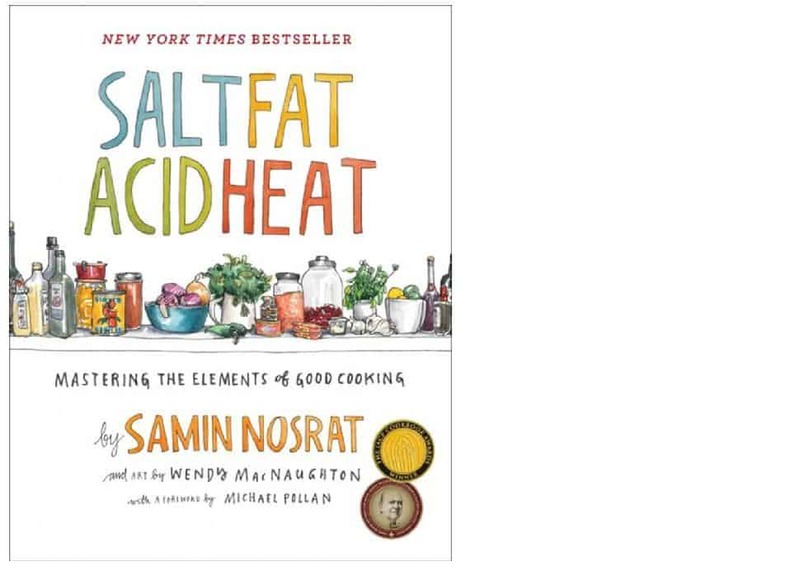 For those wanting to get into technique and theory, Salt Fat Acid Heat by Samin Nosrat is an absolute gem of a reference guide, full of all of the "whys" and "hows". Modernist Cuisine's extremely weighty Modern Bread is for those with serious baking ambitions (About $700 for all five cookbooks in the series). In My KitchenFor those that really do have everything, an experiential gift is the way to go. In My Kitchen provides attendees with great new techniques. These classes are intimate cooking experiences where talented cooks invite you into their actual homes to share both recipes and culture. We’ve cooked with Melissa—who taught us Umbrian techniques, including handmade pasta—and Naomi, who shared the umami flavours of Japanese cuisine. If you think your recipient would prefer a night out on the town, perhaps a food tour would be more appropriate. Vancouver Food Tour offers craft beer and food tours through Gastown or Chinatown, and can even plan a custom tour just for you and your guests. 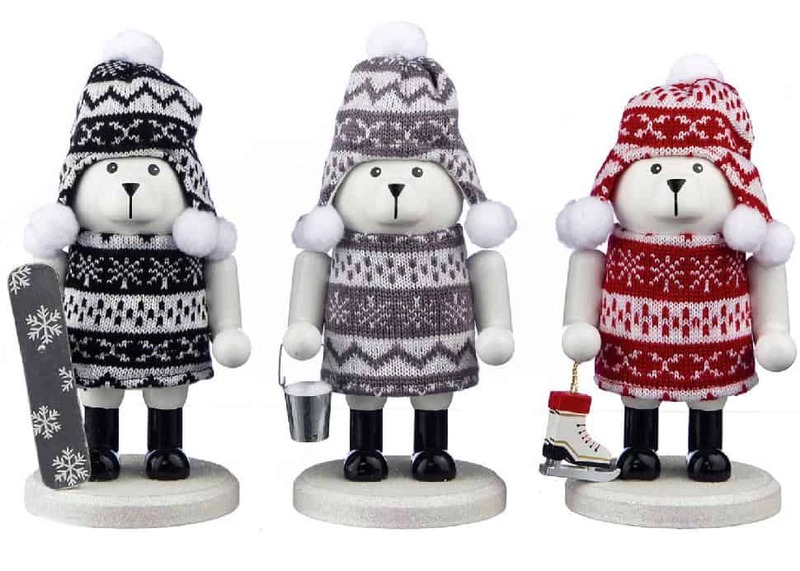 Kids are sure to love this super cute polar bear nutcracker that’s all bundled up and ready to be placed by the tree for the holidays. Bonus? It’s an affordable gift, so you can even purchase two or three to make it into a nice box set. 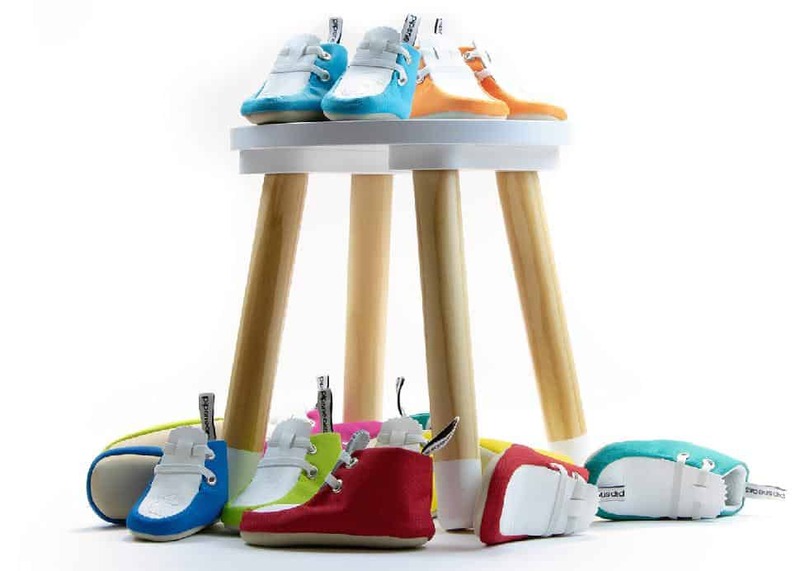 Want to keep children’s toes warm in the winter? These fuzzy slippers from Zara will definitely do the trick! 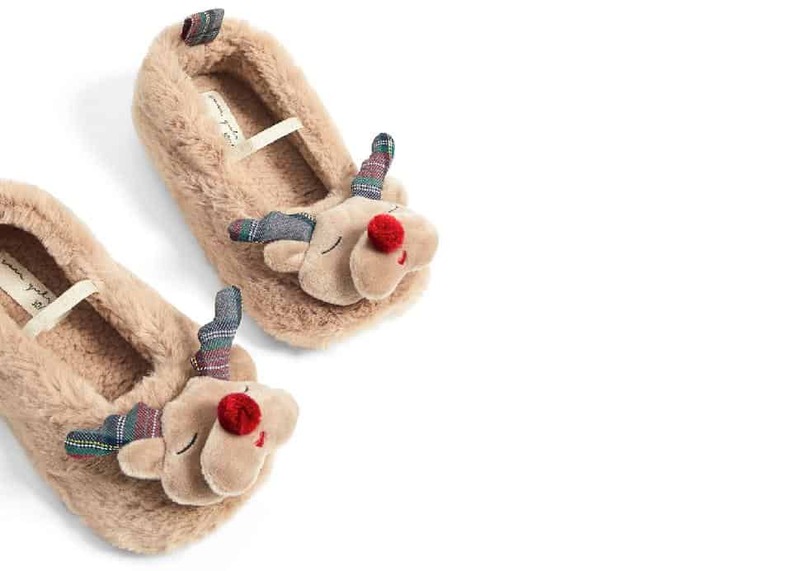 We can’t get enough of the adorable reindeer on top, and the elastics make them an easy wear. This is an awesome gift for Harry Potter fans who love getting creative. 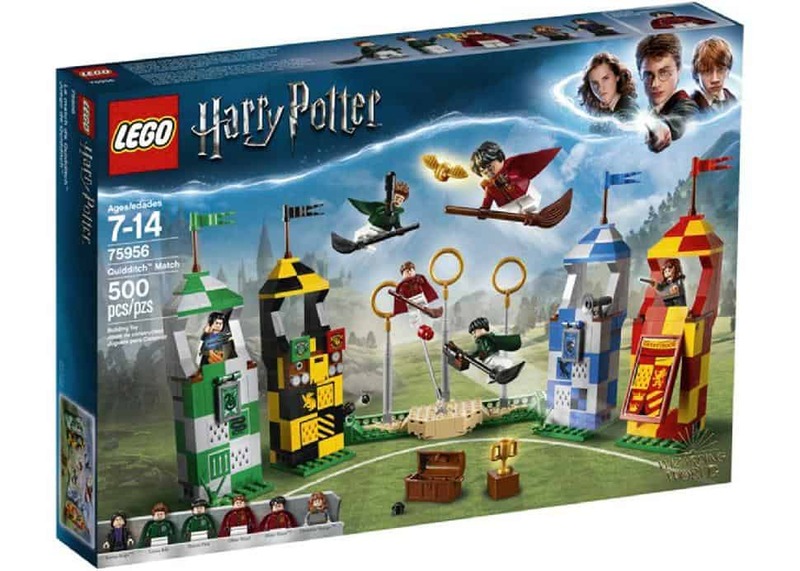 Indigo’s exclusive play set takes you right into the wizarding world as you build, and play the game of Quidditch with viewing stands, a broom shooting function, different characters, and more. Pottery Barn KidsLoveable Snoopy definitely knows how to spread holiday cheer. 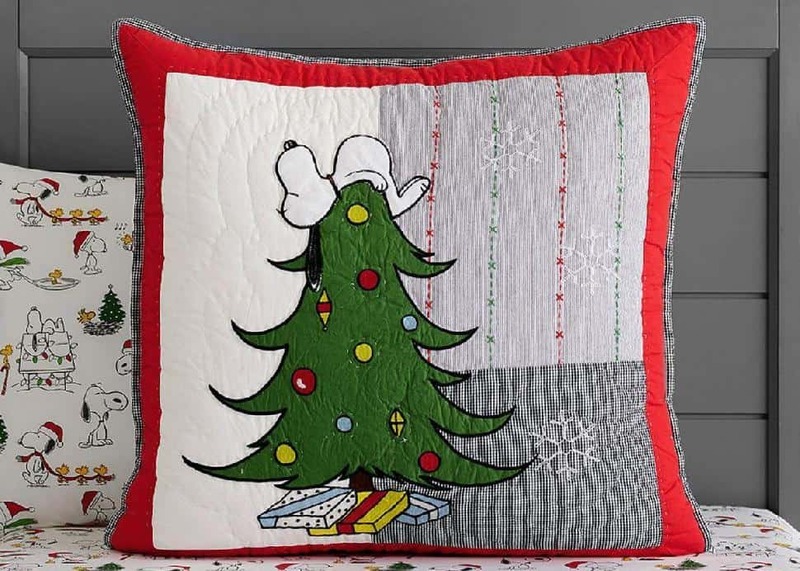 Give the gift of comfort with this beautifully festive quilted bedding from Pottery Barn, which kids will love bringing out every holiday season. Plus the pure cotton will keep them warm throughout the night! Domestic ObjectsWe can’t get enough of this playhouse by local company Domestic Objects, which lets kids have their own space to be imaginative. 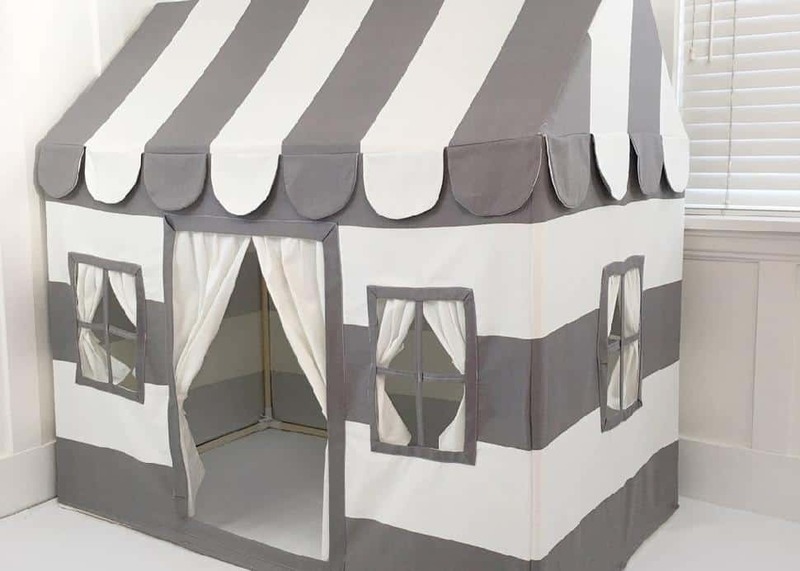 It can be easily set up, is extremely sturdy and makes playdates extra fun! IndigoYoobi is an innovative stationery brand with a "buy one, give one" initiative. With every purchase you make, the company will give children in need across the country their very own school supplies. 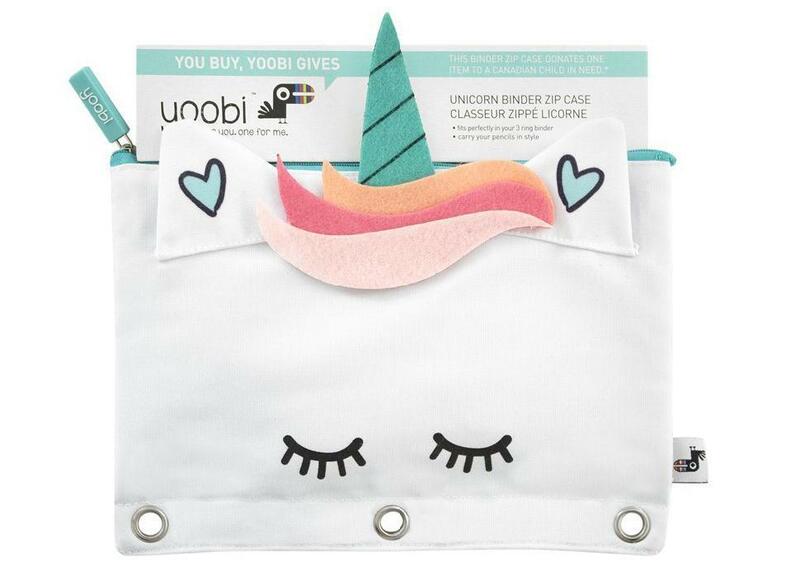 Unicorns remain as trendy as ever and we love this cute zip-up case that will keep papers organized. 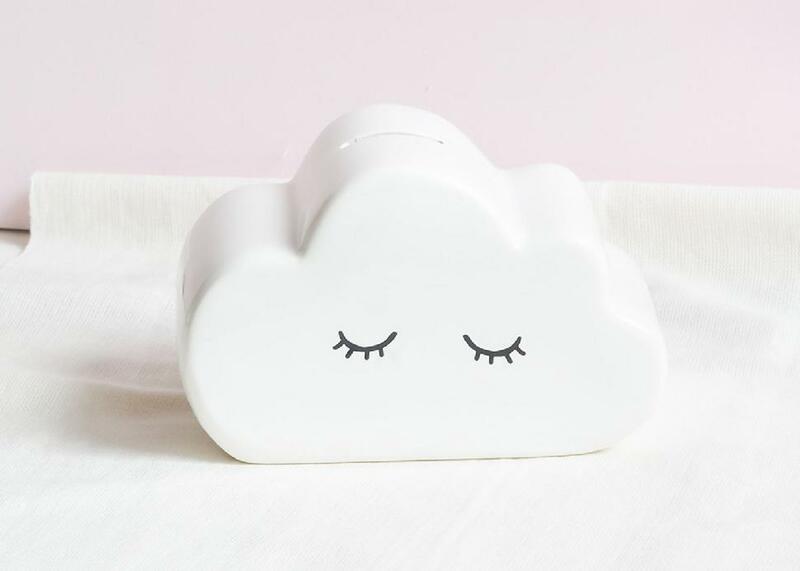 Teach them how to save coins from a young age with this super cute money bank by The Cross Design which also works as a great statement piece in the bedroom. Here’s an awesome, educational gift for young would-be scientists. 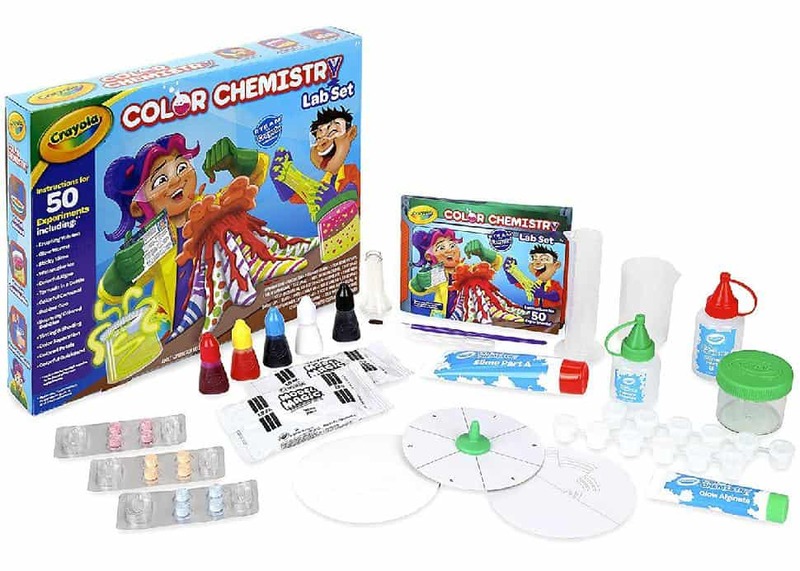 With all the makings for erupting volcanoes, colourful quicksand and rubber goo and more, this chemistry set comes with 50 experiments that are not only fun, but will have kids learning at the same time. Step-by-step instructions from Crayola scientists are included, and adult supervision is recommended. We usually wouldn’t encourage too many sweets for the young ones, but these delightful festive pops by local company Temper are hard to resist and perfect for the holiday season. They make for yummy, little stocking stuffers that the kids will adore. Make sure to place your online orders in time! 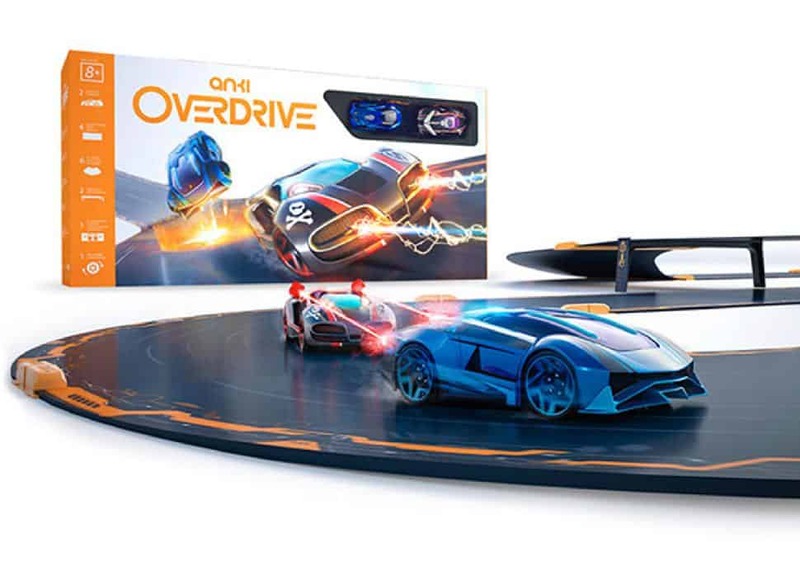 Anki’s robotic supercars run on artificial intelligence, and are packed with a number of state of the art features like plasma cannons and flame throwers to take down opponents on the track. Set up the kit with any compatible mobile device, and get ready for an exciting ride.The more you play, the more upgrades and items you get in return. Make bath time fun with all natural, kid-friendly Lush bath bombs. 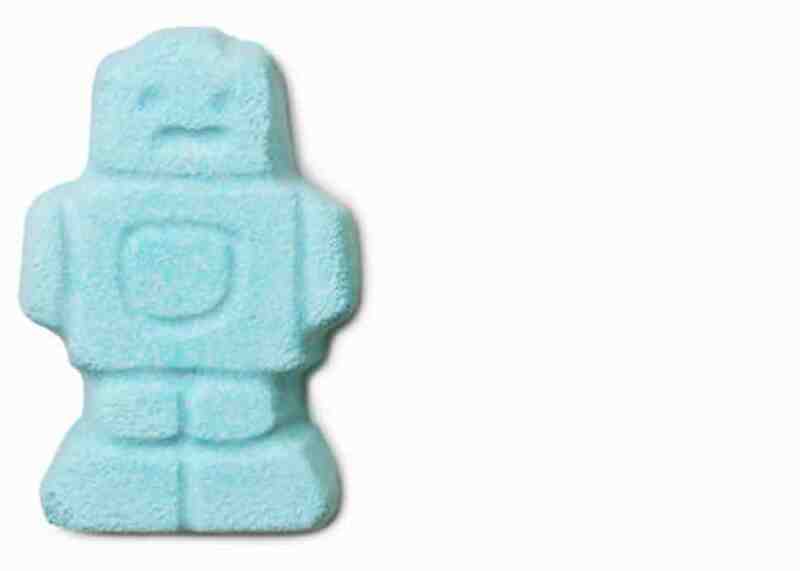 We love all the colourful shapes, such as this Ickle Baby Bot bomb which will fill the tub with calming lavender, chamomile and sandalwood and even give the kids a good night's sleep! This indoor bowling set by Crate and Barrel is specially designed for children, but can be enjoyed by friends and family together! 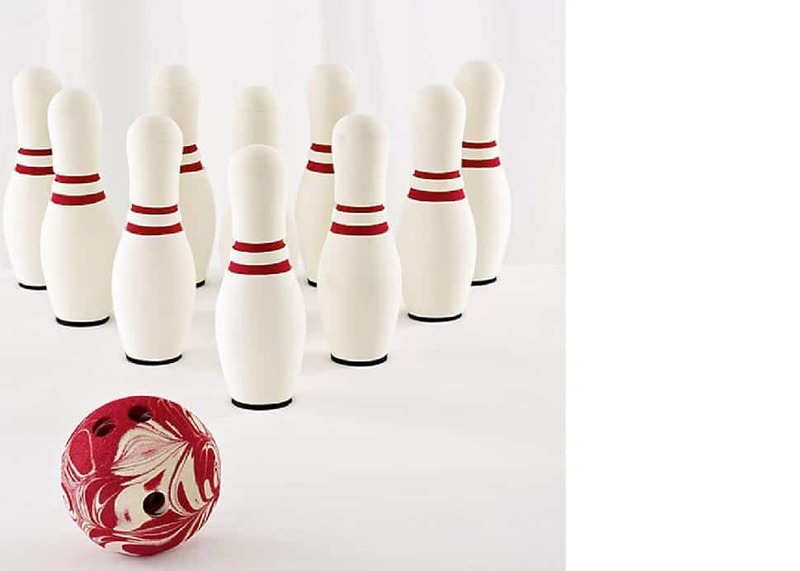 Made of natural rubber, it comes with 10 pins, a bowling ball and can be used indoors or out. Got a new parent or baby on your list this holiday season? From items that promote self-care to little luxuries that make daily life a little easier and more beautiful, here’s a roundup of great presents that moms and dads will actually thank you for. Sleep can be an elusive beast when you’re a new parent. Make bedtime the best time of day with 100 percent French linen bedding that gets softer with every wash. Flax Sleep bedding (pictured above, from $70) is temperature regulating—ideal for both hot and cool sleepers—and is hypoallergenic and sustainably produced. Looking for something for baby too? Flax Sleep makes fitted crib sheets in stripes and blush as well as double-layer, reversible baby quilts too. 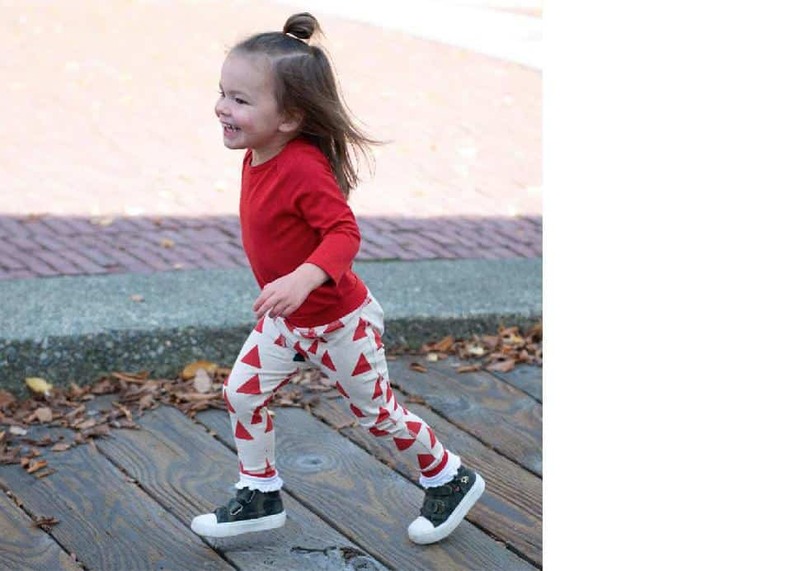 Seen on the little feet of all the most stylish Vancouver babies, Minimocs are guaranteed to get the most awwws from the parents on your list. 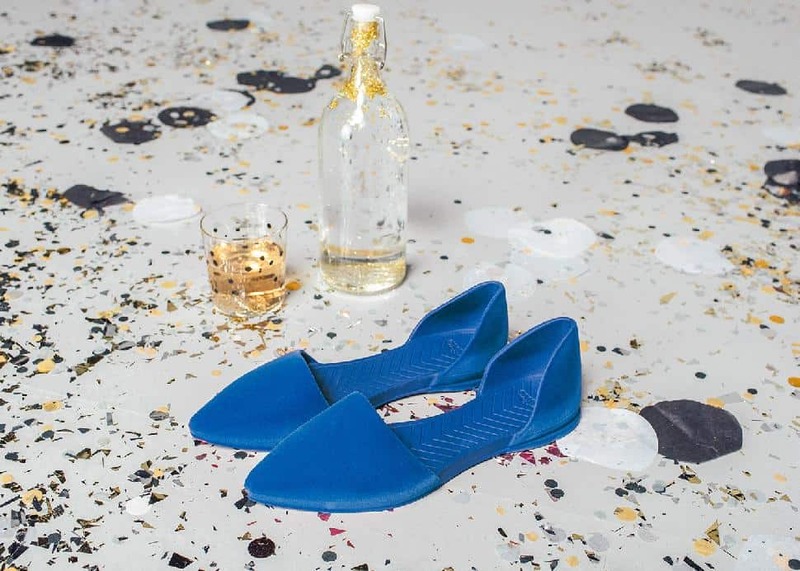 Their line of leather and suede soft shoes, mocassins, warm shoes and Janes really are just tinier versions of shoes we’d all love to be wearing this winter. Their warm shoes ($55) are lined with sheepskin and are perfect for keeping little toesies nice and toasty. And those Mini Janes pair perfectly with holiday dresses. The last thing any postpartum mom wants to do is to squeeze into skinny jeans or those ratty old sweatpants again. Upgrade their comfy at-home mama uniform with a stylish, Instagram-worthy romper from Smash and Tess ($119). Cozy, chic and made to last, these lounge-wear staples transition effortlessly from bed to brunch and grocery store trips. Bonus: most designs are nursing friendly. Oh, and if you don’t want dad to feel left out, get him a twinning look with the limited edition S+T Guy Romper. Make new baby the hit of the playground with modern-inspired statement pieces from Whistle and Flute. Gender neutral and absolutely wash-and-wear, the playful designs feature bold designs like smiley clouds, apples, breakfast eggs and toast. 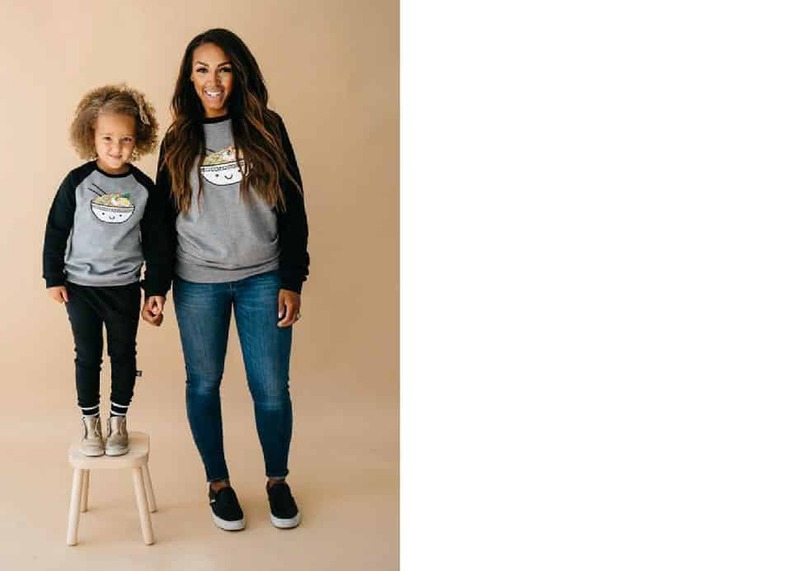 Standout pieces include its Kawaii cloud raincoat, matching mama-kiddo breakfast-themed pyjama sets in organic cotton, and cozy ramen raglan sweatshirts (pictured) cute enough to gobble up. 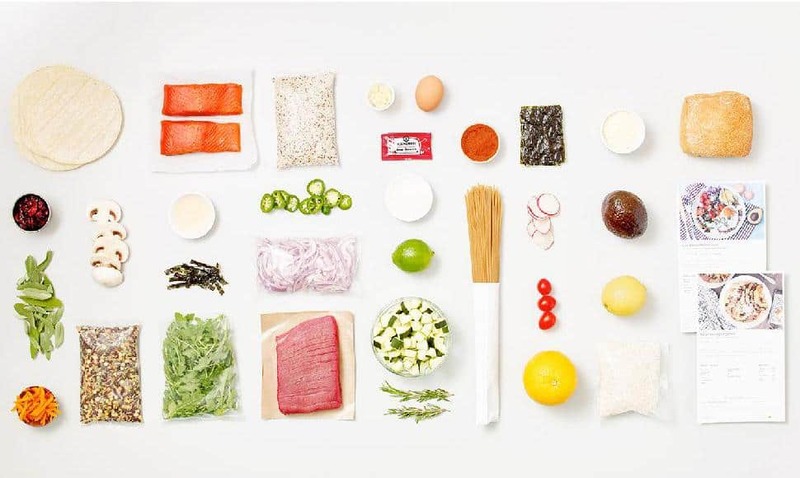 Let the new parents in your life skip trips to the store with delivery service from sustainable grocer, SPUD. Curated with the best in local, organic and sustainable food, as well as cleaning products and baby care items like food, diapers and wipes, orders can be made from your computer or phone any time of day or night—perfect for nursing mamas. 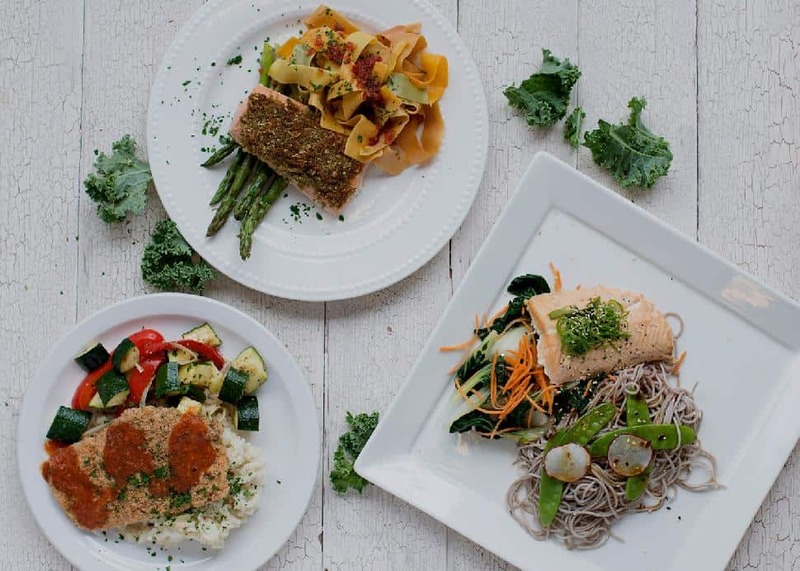 The house-made pre-made meals, which include coconut curries, oven-baked salmon and roasted veggies, and salads from Be Fresh Local, take the guesswork out of dinner. Use code CRVAN-MATDAH for $20 in free groceries on your first order of $50 or more. West Coasters love hiking. 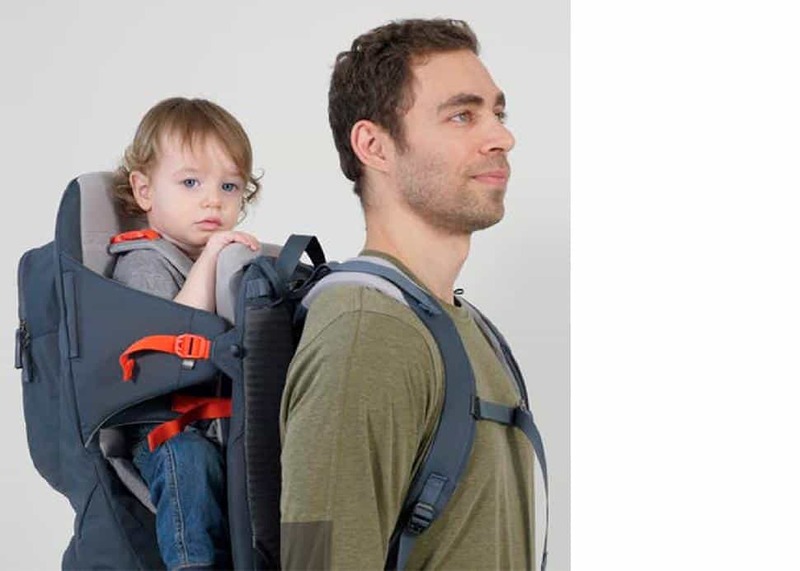 Hit the trails with baby in tow with the Shuttlecraft kid carrier from Mountain Equipment Coop ($225). With a removable sun hood, storage compartments and a rear-view mirror to catch backseat smiles, this backpack will ensure all trails are happy. Fits kids up to 40 pounds. OK, just because it’s raining outside again doesn’t mean you have to be stuck inside with baby. The waterproof one-piece Muddy Buddy rain suit ($36.95) offers full-body coverage and protection from the elements. 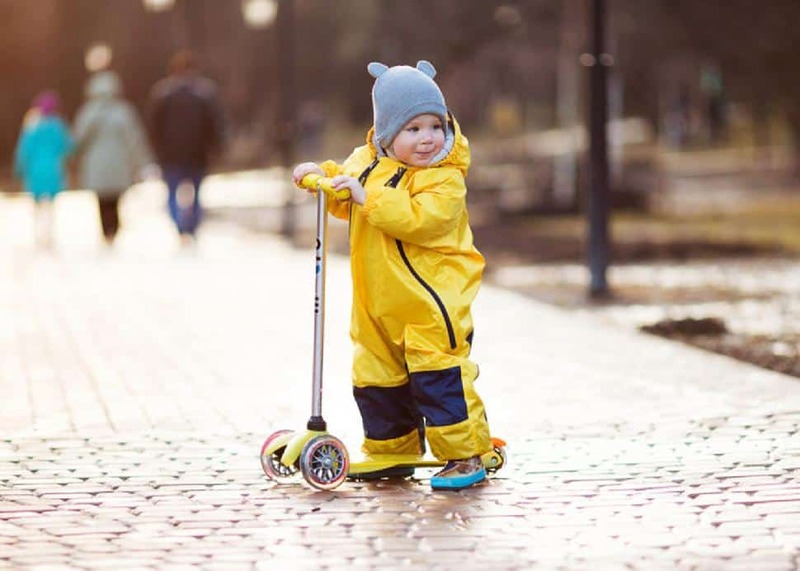 Perfect for splashing in puddles and dirt, as well as messy indoor craft projects, dual zippers and elasticized wrists and ankles allow for easy changing and snug fits over boots and gloves. Sherpa and teddy-bear wear is all the rage this season. 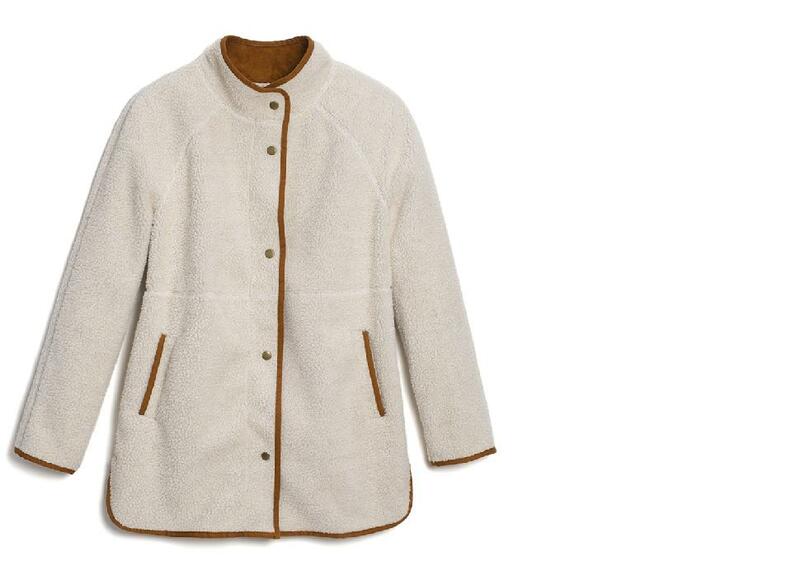 This cozy sherpa coat from Old Navy ($78) is perfect for running errands with baby or just lounging at home. Coffee is the must-have drink in the hands of all tired parents. 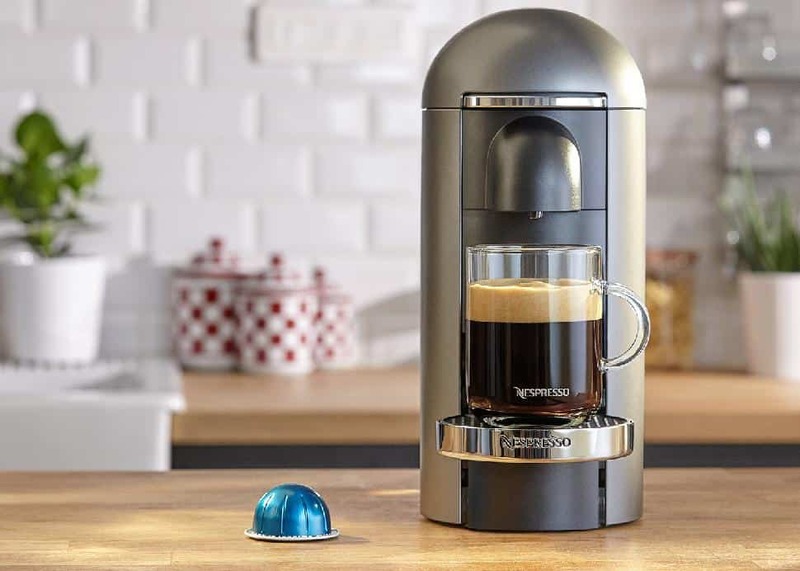 Upgrade their caffeine game with the Nespresso VertuoPlus Machine, which makes freshly brewed coffee with crema and espresso (in four sizes no less) at the touch of a single button ($279). New flavours from its Festive Variations Paris 2018 Collection include praline and macaron. Oh là là! Sleepy stroller walks are just better with a coffee in your hand. 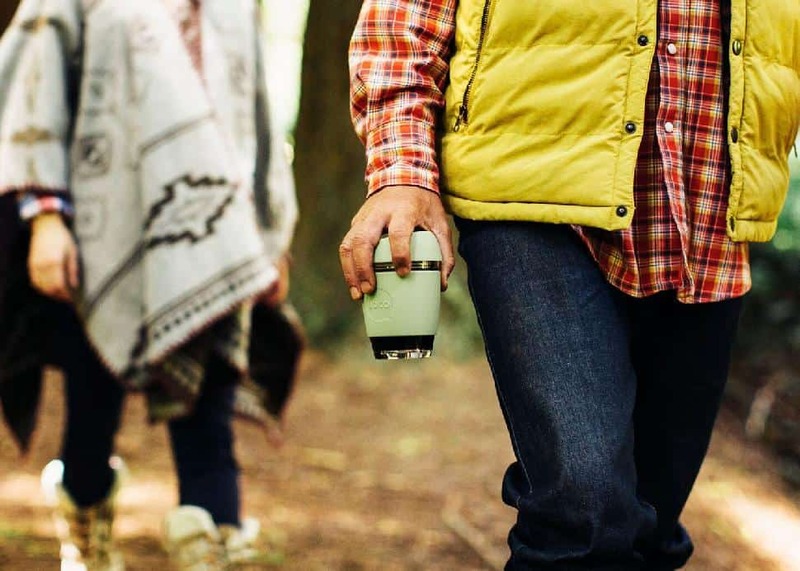 These JOCO reusable cups ($24.95, three sizes) have an anti-splash lid and a thermal silicone sleeve to keep your hands cool while your brew is still piping hot. With millions of plastic-lined paper cups dumped into the trash each week, the plastic-free purchase that will last a lifetime—and you can feel good about. The bonus: they're BPA-free as well as microwave- and dishwasher-safe. Bye, bye, duck boots! The water-resistant Audreys by Native Shoes ($75) are perfect for the on-the-go mama. They’re also a holiday wardrobe must: this season’s edition comes in a durable, washable velvet treatment. Real talk: Cleaning your house is hard enough at the best of times, let alone when it’s the holidays and you have a new baby. Give the new parent on your list the gift of a sparkling home with a gift card from Vancouver eco-friendly cleaning company AspenClean (from $15). Looking for something to put under the tree? Their new line of all-natural laundry detergents, infused with essential oils, smell great and fight all manners of baby-related stains. There’s also an unscented version if baby is scent sensitive or has allergies. The “Strong as a Mother line of clothing celebrates the sisterhood of motherhood in all of its glory, embodying physical and mental strength. 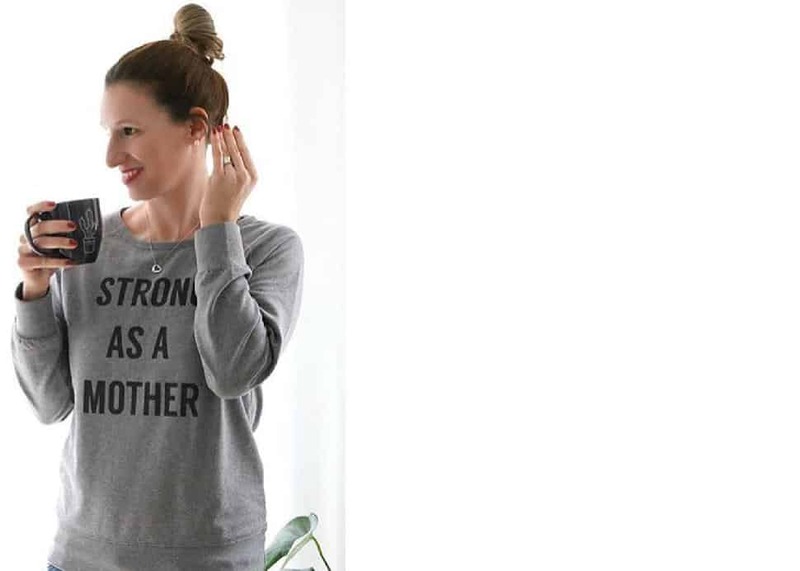 Co-founded by Tamara Komuniecki of Delish General Store, the T-shirts, crew-neck sweatshirts, hoodies and workout shirts are perfect for the strong mamas on your list who could use a little shout-out. For wee ones, check out their line of “Strong as My Mother” clothing in sizes 3 to 6 months all the way through to 18 to 20. Made from super-soft bamboo cotton terry cloth, Numpher’s “must have multi-use” bibs ($14) are functional and beautiful and perfectly complement any adorable outfit. Don’t let their pretty appearance fool you. These bibs are a triple-threat powerhouse, acting as an absorbent bib, burp cloth and washcloth. Numpher donates partial proceeds to the Newborn ICU at BC Women’s Hospital, and offers complimentary gift wrapping online. With the erratic and unpredictable schedules of babies, fitness often falls by the wayside for new parents. Going to the gym? Forget about it. The Mandy Gill fitness app (starting from $315) sends you personalized at-home workouts that can be done while baby is napping. You can also add one-on-one in-person coaching or nutritional support. 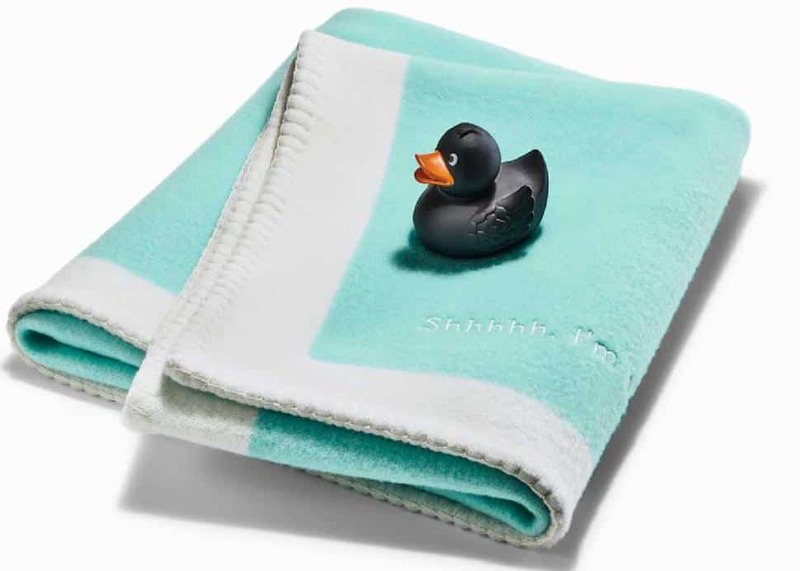 Wrap the posh little prince or princess on your list with a signature blanket from Tiffany & Co. ($610). Made with merino wool and cashmere, and featuring the signature logo, this luxurious blanket can be personalized and will soon become a cherished fam favourite. It's hard to believe when you see a newborn, but it won’t be long before baby will be chowing down on snacks in the stroller or car seat. 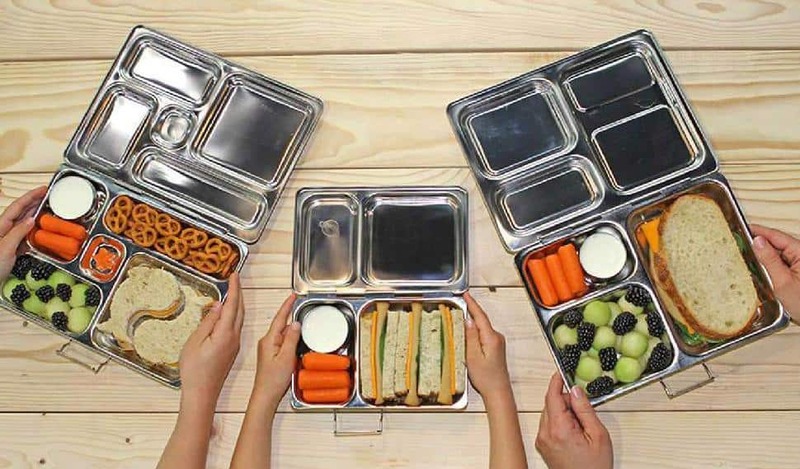 Swap the plastic and Tupperware tubs for a bento-style zero-waste lunch box from PlanetBox. PVC-free, dishwasher-safe with separate compartments, attached lids and dipper container for sauces and wet items, the Shuttle ($39) is perfect for small meals and snacks on the run. Each box comes with a set of cute magnets. 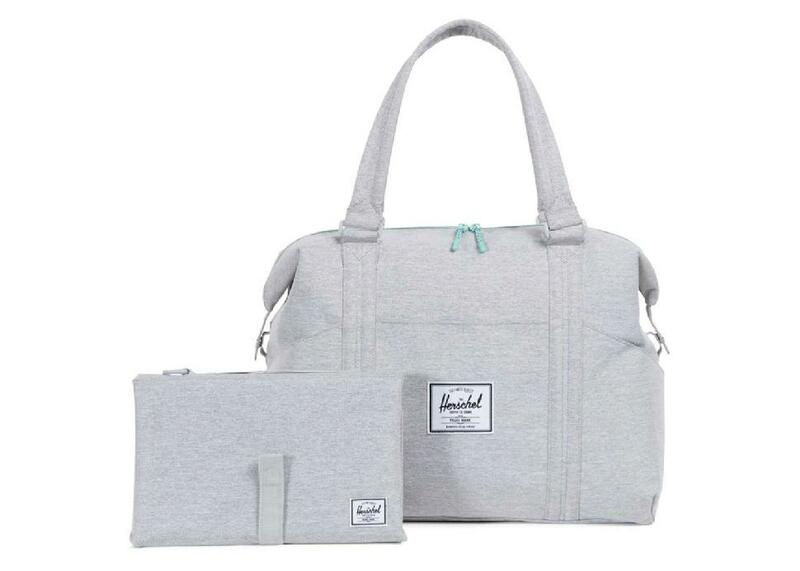 Vancouver backpack maker Herschel has jumped into the parenting game with the release of its Sprout Strand Duffle diaper bag (11 colour options, $109). The highly versatile duffel, with the signature striped interior, can be worn over the shoulder and has loads of pockets inside and out for diapers, wipes, bottles and more. It also has a folding easy-wipe changing mat. Not feeling the duffel? Its Settlement backpack, with integrated storage and change pad, is also perfect for on-the-go new parents. The early days of parenthood inevitably include late nights, early mornings and many, many unexpected wake-ups in the middle of the night. 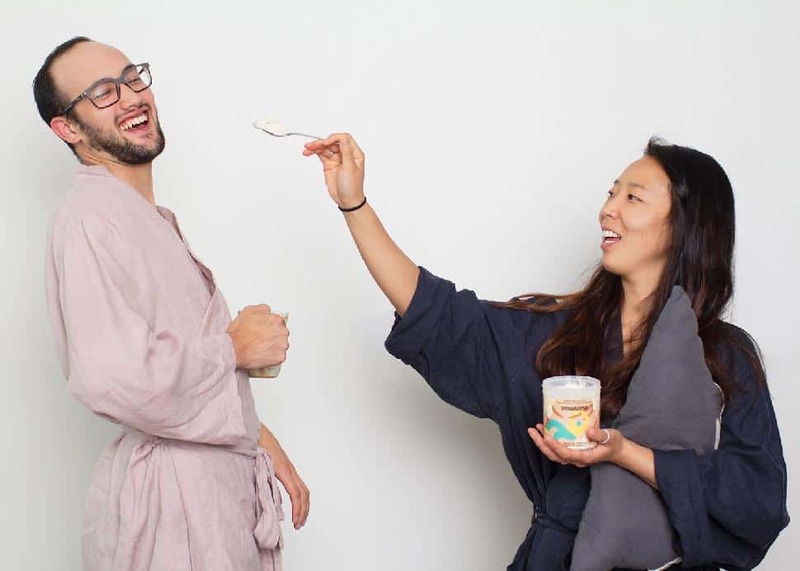 These unisex linen robes from Flax Sleep ($98) help mom and dad maintain next-level comfort even during those bleary-eyed middle-of-the-night feedings. It's a great gift for the couples on your list! The Instant Pot ($129) has reached cult status among home chefs—and with good reason. 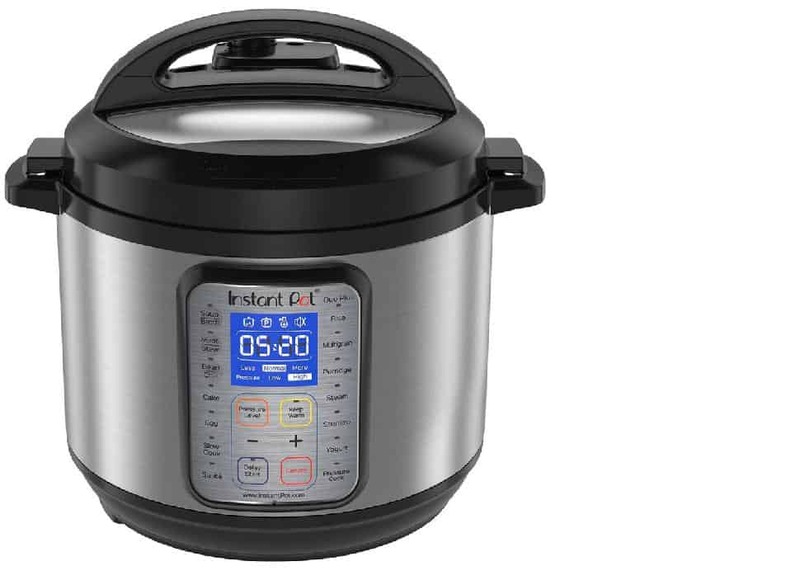 The powerhouse multi-function appliance does the job of a slow cooker, pressure cooker, rice cooker, steamer, yogurt maker and sauté pan—and cooks meals in a fraction of the usual time. Think: slow-roasted pulled pork on the table in 45 minutes. A great bonus for new parents: its sterilize function can sterilize baby bottles, jars and utensils. New parents spend a lot of time getting in and out of bed in the middle of the night, which can be super disruptive for the person sleeping beside them. Canadian-made and super-comfy, the Endy mattress (from $775) has open-air cells that act as tiny shock-absorbers, eliminating motion transfer. Help new parents get more Zzzs. While new parents are often bombarded with gifts of adorable yet not-so-practical baby clothes, Peakaboo Beans’ mission is to design un-fussy clothes free of zippers, buttons and bows so kids can focus on one very important life building activity: play time. The B.C. company is a cult favourite: they dressed the Trudeau kids for Canada Day and were just named one of Jillian Harris’ favourite Canadian baby brands. Here's a Christmas gift that keeps on giving all year! 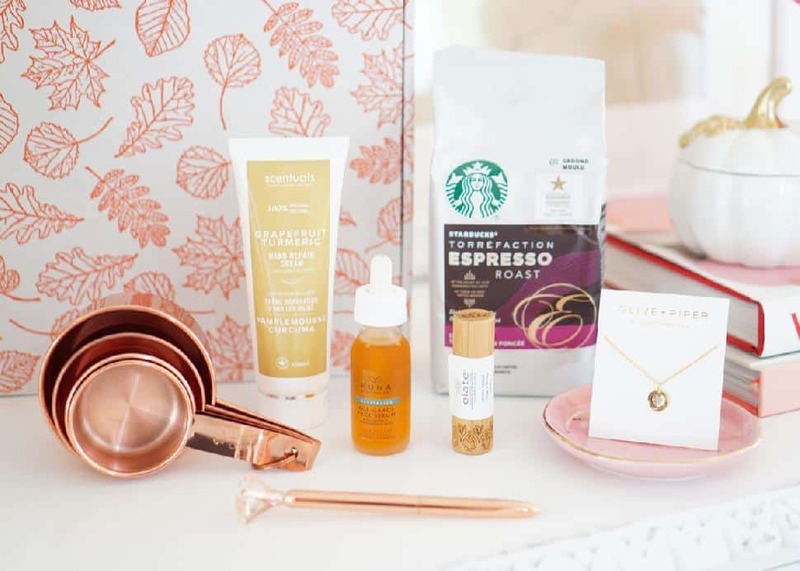 Curated personally by BCLiving editor Janine Verreault, the Simply Beautiful subscription box includes the best beauty finds, style pieces and trendy home decor treasures. Every 90 days, the special lady on your list will receive six to eight products for the body, home and soul. Says Verreault: “Perhaps it’s an essential oil to help you feel calm, a beautiful piece of jewellery to make you feel luxurious or a special tea to give you a sense of peace—we believe that being surrounded by beauty can make life that much sweeter." Let new parents rest their heads and their minds with ergonomic and fluffy new pillows that remain cool on each side throughout the night (when they actually get to rest). The ‘Pillow No. 47’ from Primary Goods ($78) stitch silver fibers into the pillow to repel bacteria, meaning they’ll outlast other pillows for many years. Oh, and did I mention they’re machine washable?